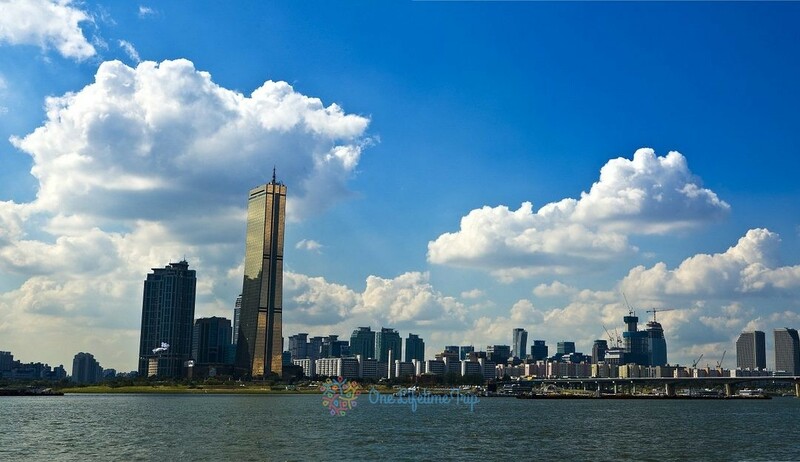 he beauty of the city has worn somewhat in recent decades, but has kept its appeal to this day. It has been known by many names such as “City of Water”, “City of Masks”, “City of Bridges”, “The Floating City”, and “City of Canals” and it lives up to all of them. If you wants to visit an “enchanted” city that is floating on water, if you want to see something unique and had enough of the loud humming of cars Venice is the place for you. Venice’s climate is moderately continental with, warm summers and cold winters. If you like walks in the rain you should visit in June or October, if you prefer your clothed dry visit Venice in January or February. The best months for city sightseeing would be May, possibly early June, and early September. In these months, the weather is good, and there is no heat. 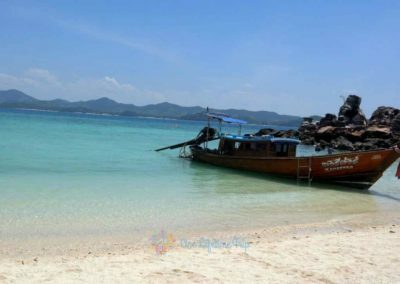 During summer it is very hot, there are lots of tourists and mosquitoes that may make your stay rather difficult. But of course, if you have the chance to visit Venice during summer time, don’t lose out on the opportunity. Also another great time to travel to Venice is during the Venice Carnival in February for obvious reasons. In the City of Canals transportation is quite different than in any other city. There are buses and taxis but the ones without wheels. Don’t get alarmed these water buses and water taxis will get you to your destination in no time. And of course let’s not forget about the gondolas they may be more expensive, however they can give a special experience of witch couples can take advantage of. 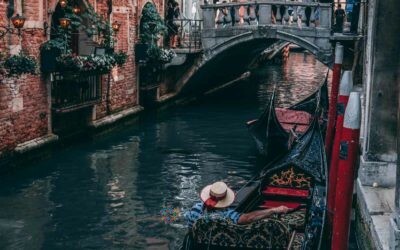 What could be more romantic then a ride with a gondola in the Floating City while you listen to singing and guitar play? 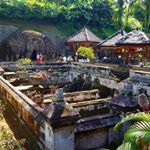 Yes, bargaining is an option but keep in mind that you may be riding for a shorter period of time and you might not see the most special places. Some may think that Italian is the primary language spoken in Venice. Well, not quite. 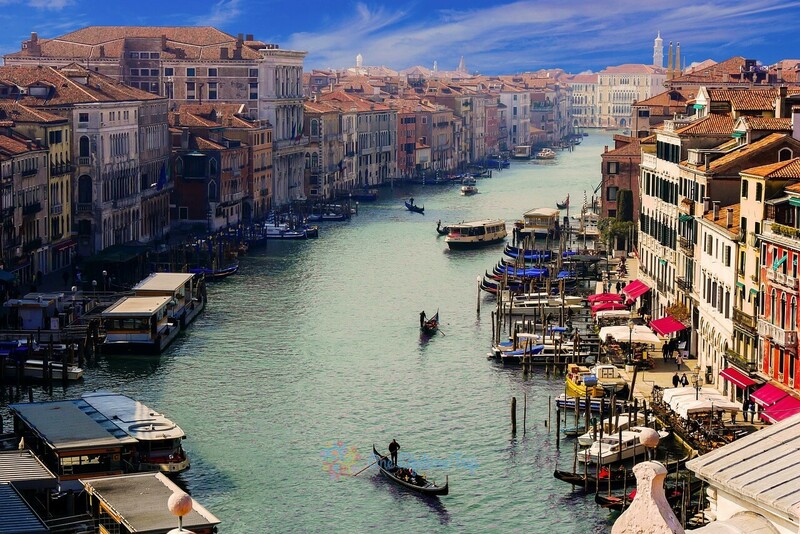 Venetian the language of romance, a dialect of Italian is most common language in Venice. Of course if you are a speaker of modern Italian you will have no issue understanding the locals as the majority also speaks it. 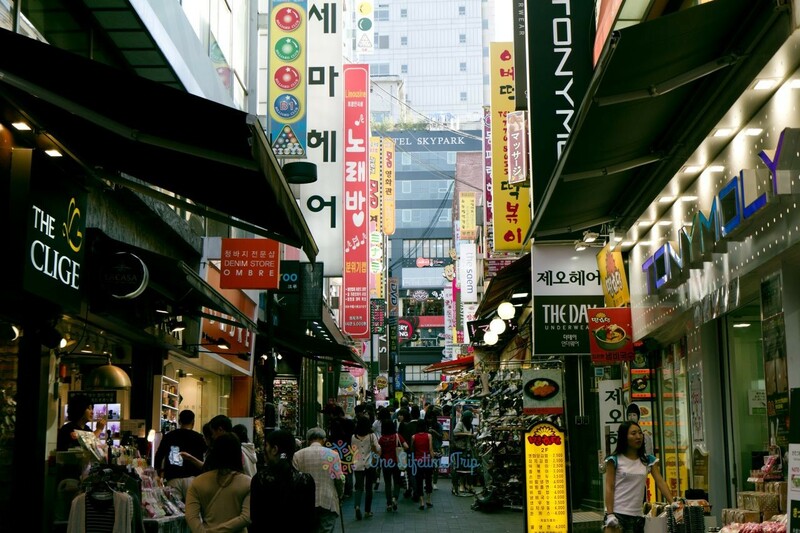 The city being a major tourist hub English is spoken by most vendors and people working in the tourism industry. In Italy the power plugs and sockets are of type F and L. We suggest that you have a power adapter if you are not from around. 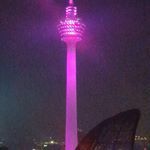 Having your smart phone or camera charged for taking pictures is mandatory in this beautiful city. We suggest having a travel adapter if you are not from around. If you are flying to Venice you will probably want have ‘a few’ euros with you for incidental expenses before you can get to an ATM as the only currency is euro. We advise you to bring a hundred or so euros for meals, rides, and then hit the ATM for larger amounts of cash once you have settled in. While we do recommend trying a good pizza with your favorite toppings there is so much more that the culinary world of Venice can give. Try for instance a local favorite sarde in saor. The name may sound fancy but it is actually fried sweet and sour sardines. It is marinated in softly cooked onions with olive oil and with its added raisins and pine nuts it is the ultimate sweet and sour dish. If you want something simpler but with a dash of excitement try scampi con polenta. Cornmeal can be boring but the shrimp with the mixed herb can uplift it to the highest peaks flavor vise. It is a true dish of Venice for those who are fans of seafood. Carpaccio is a delicious appetizer if the idea of raw meat is appealing to you. Is it safe? Well even if foodies swear by it. there is no way to guarantee the safety of raw meat but sometimes you need to take the risk to experience something new. You can choose between a variety of meats: beef, fish, seafood, salmon, tuna, venison that is thinly sliced and served with olive oil, lemon and truffles to bring out the taste that will delight your taste buds. When in Venice you must try at least a glass of Prosecco made from Glera grapes. You can choose your favorite version of this Italian white wine may that be spumante (sparkling wine), frizzante (semi sparkling wine) or tranquillo (still wine). It is served chilled and most often drunk as an appetizer. It is a drink that has a crisp and intensely aromatic flavor bringing to mind apricots and it is best served unmixed. If you are looking for something with more mixture in it then try a classic Spritz. You can choose your own variety again as Spritz is mixed with white wine, sparkling mineral water Aperol to make it sweeter or Campari to make it bitter. It all depends on what you favor. Last but not least don’t forget the ice to make it more refreshing. With Ryanair’s low-fare flights you can get the best price and arrive at Treviso Airport from all around the world. To get into Venice from the airport you can take a bus to Lido di Jesolo, Cavallino, Punta Sabbioni, Caorle, Eraclea Mare and Bibione. From the Marco Polo airport to which Easyjet airplanes arrive, you can take a bus to Lido di Jesolo, Punta Sabbioni, Caorle, Bibione, Lignano and Eraclea Mare. Don’t get in the water, avoid stairs that lead to the water as they are very slippery and you can end up underwater real fast. 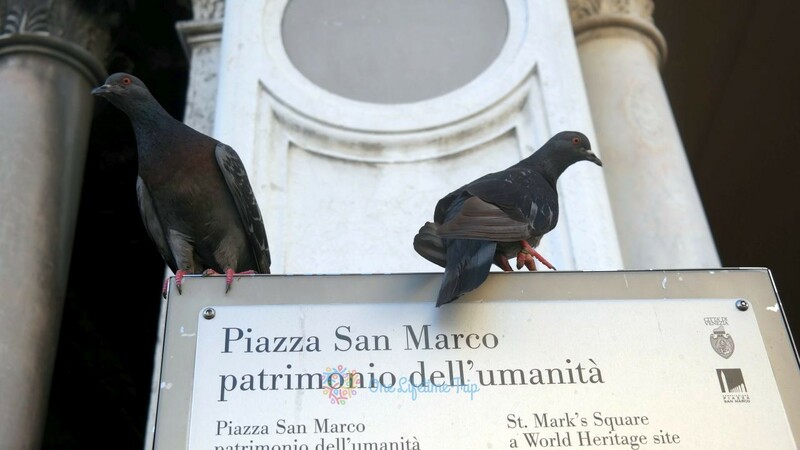 Don’t feed the pigeons in Piazza Saint Marco as it is illegal and you can end up with a pretty big fin as well. Find affordable meals by searching for restaurants that serve a “Tourist Meal” that can be a great deal cheaper than eating at a regular restaurant. However, make sure you ask first how much the drinks cost as they can be even 5 euros and suddenly your great deal meal is not so great after all. November and December. If you choose to visit Venice during this time keep in mind that you may need to stay for a few hours at higher peaks of the city. Watch out for pickpockets ending up without your wallet and documents might not be the adventure you are looking for. The streets of Venice are like a labyrinth the signs are helpful but a map is a must have you need to have with you at all times. 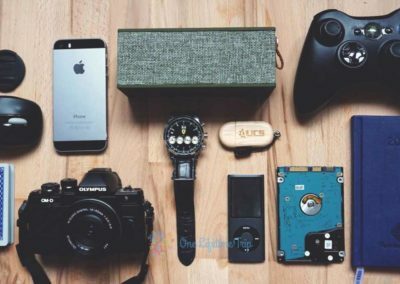 Preferably that antique kind made of paper so the battery life of your device is not something that decides if you remain a “prisoner” of the labyrinth or not. Last but not least don’t forget to just enjoy this marvelous city that gives you a view through a looking glass to a different world than any other. If you want to save some money keep in mind that accommodation is much cheaper in Mestre than in Venice, and you can get to Venice by bus or train in 10 or 15 minutes. 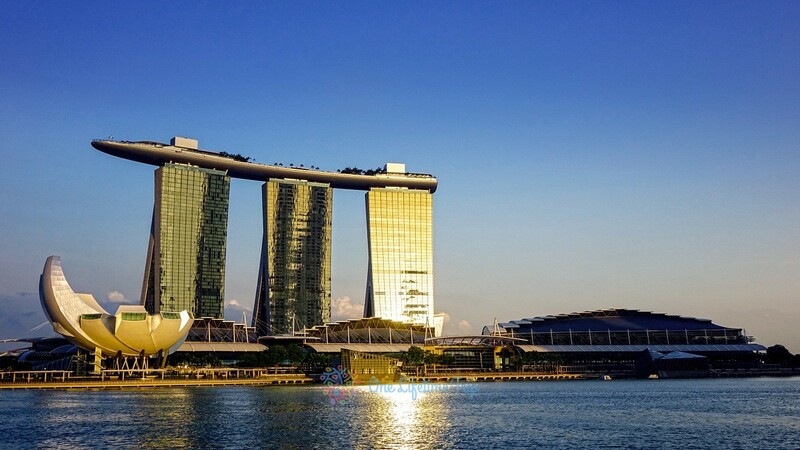 If you do not want to stay outside the city, it is important to pay more attention to the location of the hotel than in other cities. If you want to walk around the city and do not want to spend much on a water buses choose a hotel that is in the middle part of Venice even if it is more expensive you save time and money by not spending it on expensive public transport. Alto if you want to stay in Venice there is not to many cheap options but you can try the Youth Venice Hostelers Home for 45$ per night or Atlantide Hotel for 70$ per night. Venice has multiple options for finding a cheap or expensive place to stay. As I said, could be expensive but you can fit also on a budget. 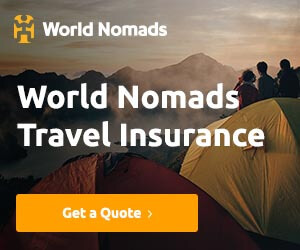 If you don’t have to worry about your budget can book plenty of hotels rooms and pensions where you like on www.booking.com or www.agoda.com. 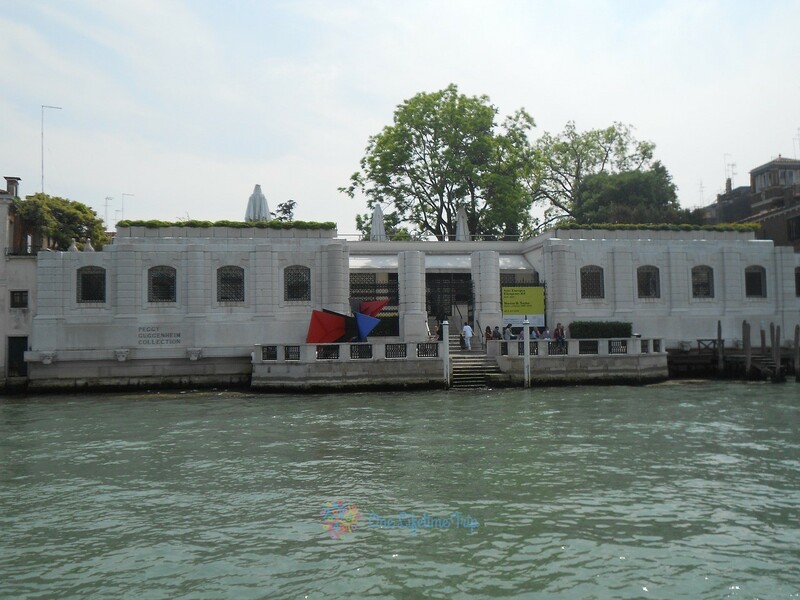 Venice is fully accessible on foot, no vaporetto that is a water bus is required. However, it is worth at least one time to go by a vaporetto, since you can admire the Grand Canal. To the St. Mark’s Square, to the Rialto Bridge and to Piazzale Roma, the yellow panels on the house walls show the way so you cannot get lost in the “labyrinth” that is Venice. The panels often point in two directions, meaning that both paths lead to the same spot. It is also worth wandering in Venice, even at night, when the city is particularly romantic, as every little alley, every corner has some beauty. You can walk through bridges and end up in the middle of marvelous squares. In such cases, it is very easy to get lost, so it is recommended to have a map in your pocket. Now we are getting to our top. Here are some of the most beautiful sites Venice presents to its visitors. In other words, let’s start! 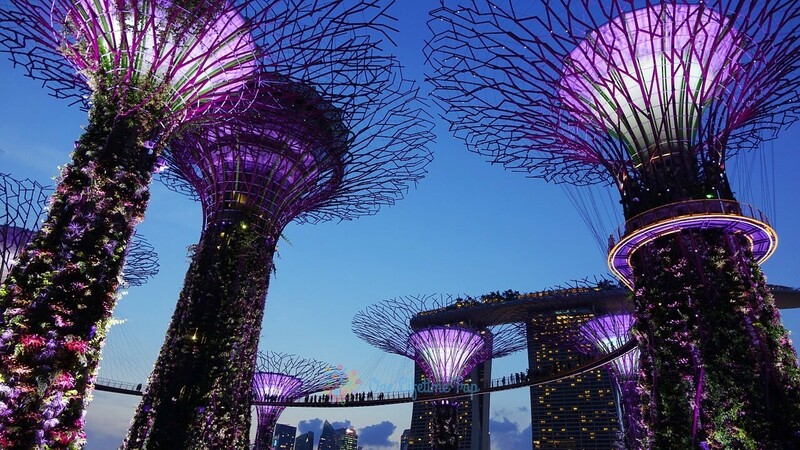 Many consider it the world’s most beautiful square. Napoleon called it “Europe’s Lounge”. In the square you can see St. Mark’s Cathedral, the bell tower, and the clock tower. The flagstones on the bronze foundations before the cathedral date back to the 16th century where there are two granite columns near the waterfront, since the middle of the 13th century. For those interested in history and art the Doge Palace and the Correr Museum are a must see. 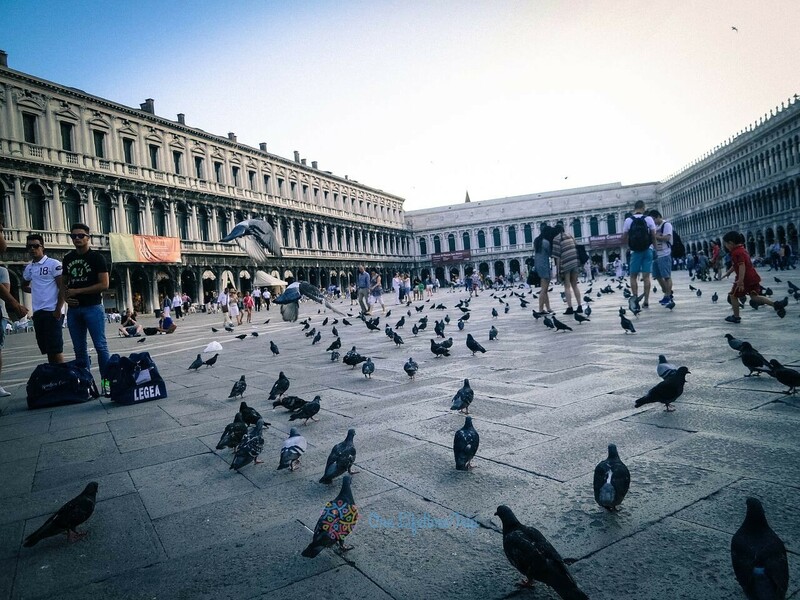 However in addition to the many tourists, you have to share Saint Mark’s Square with a lot of pigeons. Saint Peter’s Basilica dome was designed by Michelangelo, after climbing 320 steps you can admire the splendid view of Rome and the dome. During the tour, you can also view the Basilicas ceiling with its magnificent artwork. If you are walking on the Aventinus hill, do not forget to view Saint Peter’s Basilica through the “Keyhole of Rome” as an interesting, memorable, special experience. The famous keyhole is on the gate of the Roman Order of Malta. 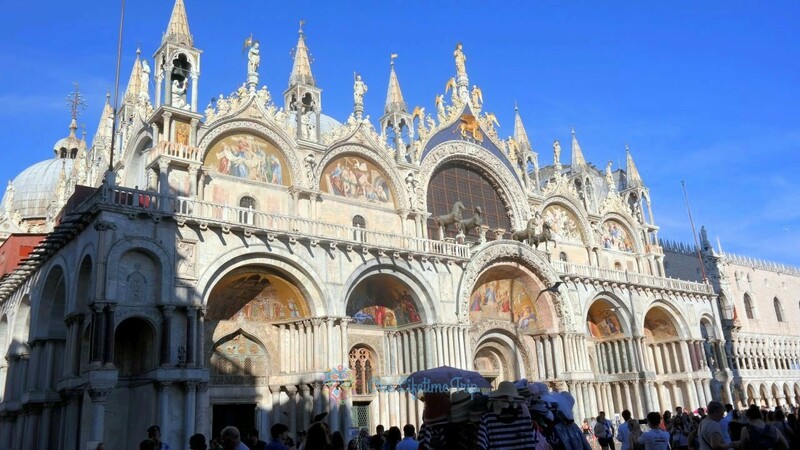 The cathedral in the eastern part of Saint Mark’s Square was consecrated in 1094. 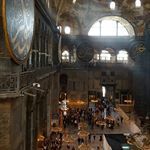 Since then many renovations, reconstruction and expansion works have been carried out during the centuries, every era left its mark on the church built in Byzantine style. This is the most important and representative building of Venice, the place for prayers and important meetings. The city always entrusted the most important artists with the supervision of the decorative works that gives us todays Saint Mark’s Basilica. The Campanile is the bell tower of the cathedral and it was originally built in the 9th century. It was rebuilt in 1514, then collapsed again in 1902 and was completely destroyed. Finally in 1912, the Campanile was reconstructed to its original form. 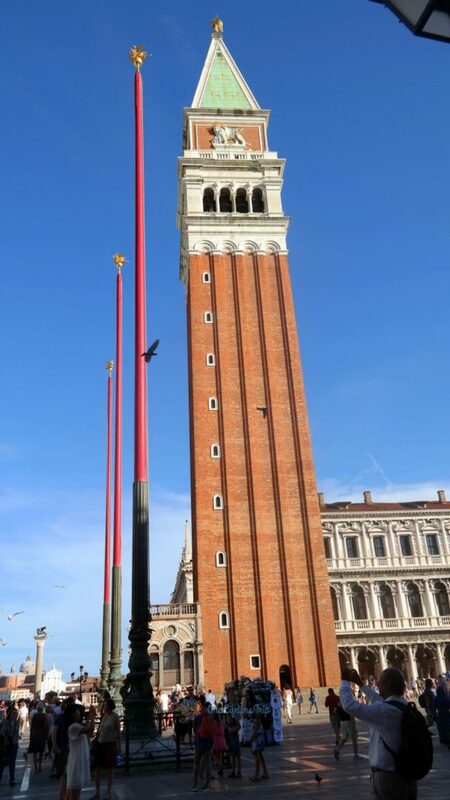 The bell tower has a wonderful 360° view of Venice and the sea. The cathedral clock tower was built in 1496 and was renovated in 2006. To visit the clock tower a pre-booking is necessary as it can be accessed a couple times a day. 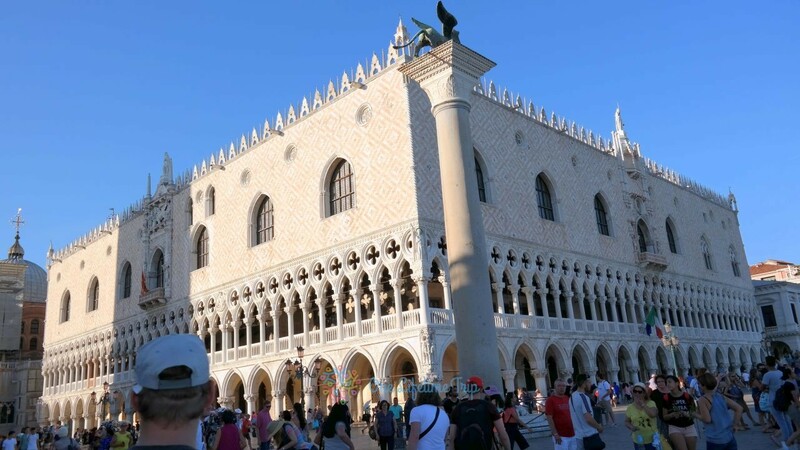 The palace was not only the headquarters for the ducal of Venice, but it also has a tribunal, a courthouse, offices, a jail and even a torture chamber. Nowadays it has been operating as a museum. It is one of the most beautiful examples of Gothic architecture. 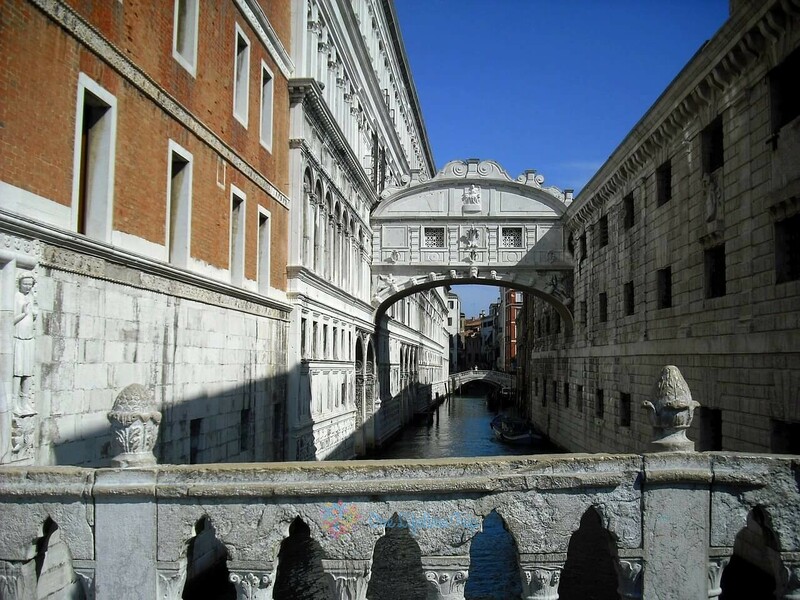 Here you can experience the history of Venice, and through the tour you can also cross the Bridge of Sighs. 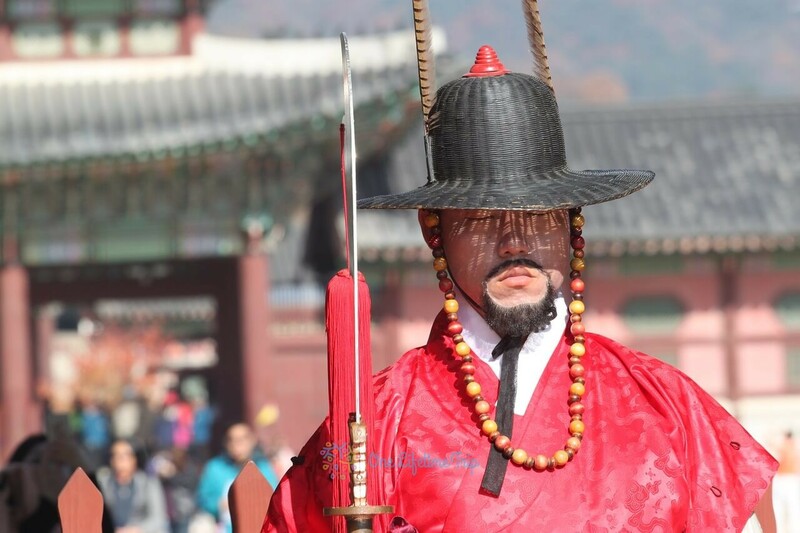 Its impressive interior is enchanting, the palaces’ paintings, decorations, sculptures and walls are eye-catching. If you are not the scary type an interesting tour would be to visit the torture chamber and see the former prison cells. Venice’s most famous bridge, which connects the Ducal Palace and the old prison, was built in 1600. If you like legends this is the place to be. The Bridge of Sighs was named by Lord Byron, he thought the prisoners who were sentenced sighed on the bridge as they caught a last glimpse of the city before being swallowed by the prison. Also according to another legend, if lovers kiss each other under the Bridge of Sighs under a gondola at sunset, eternal love and happiness will be their reward. Canal Grande is the main waterway of the city, it has an impressive line of churches and a magnificent palace lined up along the canal, with four bridges over it. The Grand Canal demonstrates the well-being and art of the era of Venice. It’s a good idea to take a water bus or a gondola and pass through the canal as it can be a fascinating experience. One of the best museums in Venice the Palazzo Venier dei Leoni it is home to the Peggy Guggenheim collection presenting modern art. 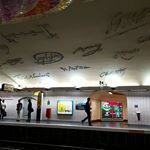 Cubist, surrealist, abstract expressionist works are presented here, including Dali, Miró, Picasso, Pollock, Metzinger, Duchamp, Gelizes’s works. If you are just a little interested in modern art you should definitely visit this grand museum. On the building of Scoula Grande of San Rocco the most beautiful works of the Renaissance painter Tintoretto can be admired. The magnificent building, its walls, its breathtaking ceiling and a combination of paintings will give the art lovers an unforgettable experience. San Giorgio Maggiore is one of the islands of Venice and can be reached by vaporetto. 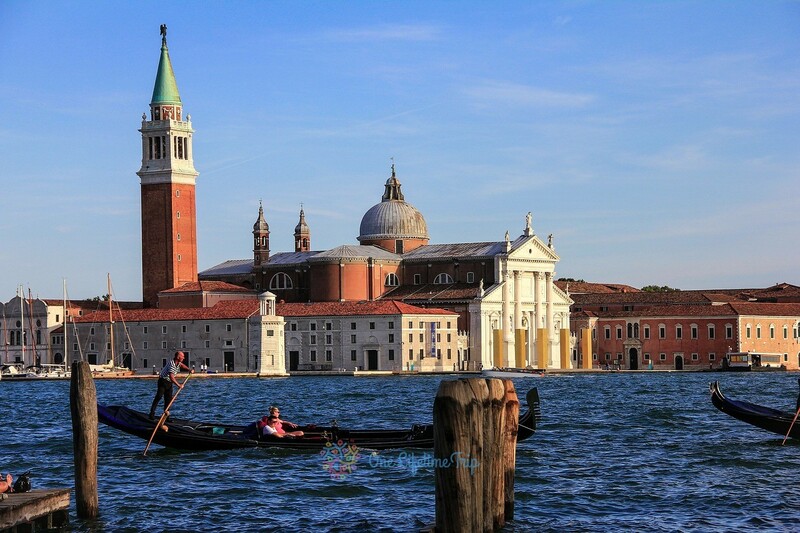 It is also known for its 16th century magnificent San Giorgio Maggiore church and the bell tower of the church. It has a stunning view of Venice and it’s as beautiful as the bell tower of St. Mark’s Cathedral, but without the huge crowds. A huge, beautiful basilica is the Campo dei Frarin, the Franciscan church, the second most important church building in Venice with beautiful works of art from the era of the Venetian Renaissanc. It is worth mentioning, Tizianos The Ascension of Mary and the Madonna of Pesaro. The church of Santa Maria Dei Miracoli is like a small jewel box with a beautiful colorful marble cover. It is simple yet unique in its way and gives a sense of peace whoever is in its presence. It is considered by many to be the most beautiful church in all of Venice. If you are looking outside the “museum town” for the real Venice then you need to go to the northwestern part of Canaregio. 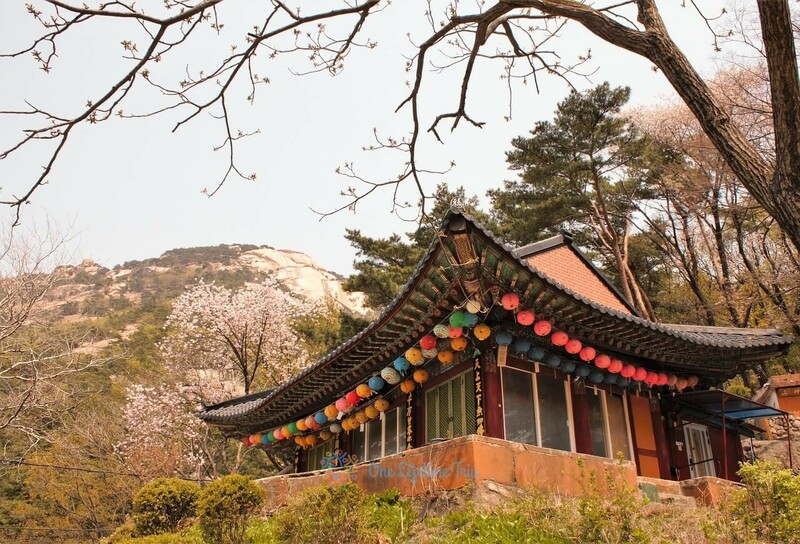 It is a quiet, authentic neighborhood, and it is away from the noise of tourists. It is worth visiting here to get to know another face of Venice. It’s nice to walk around here and retreat a bit from the crowd. You can also have a nice cheap meal at a restaurant or a drink at a café or bar then in the central part of Venice. Lido di Venezia is the nearest beach to Venice, it takes 15 minutes to get there by vaporetto from St. Mark’s Square. 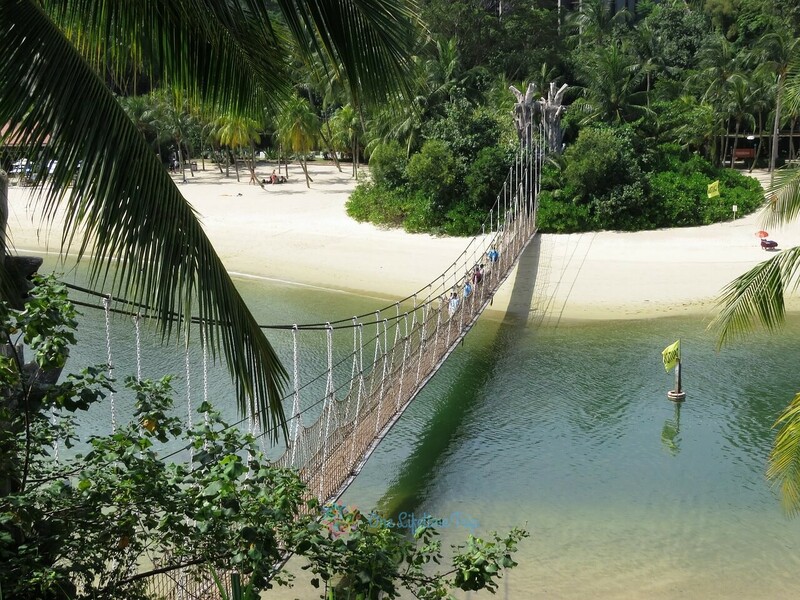 It is not particularly a cozy or a beautiful beach but it is 11 km long and ideal for long walks along the shore. More tourist friendly beaches would be Gran Viale, Santa Maria, and Santa Elisabetta. 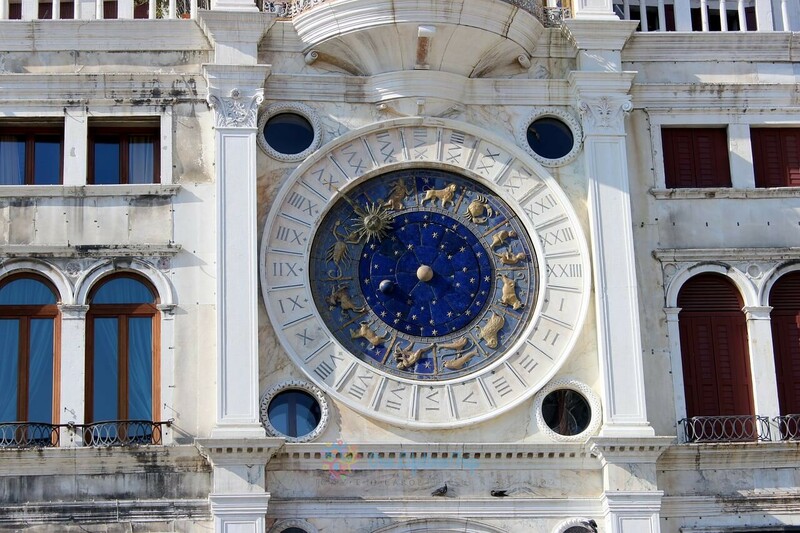 Venice’s attractiveness is further enhanced by the availability of nearby beautiful resorts. 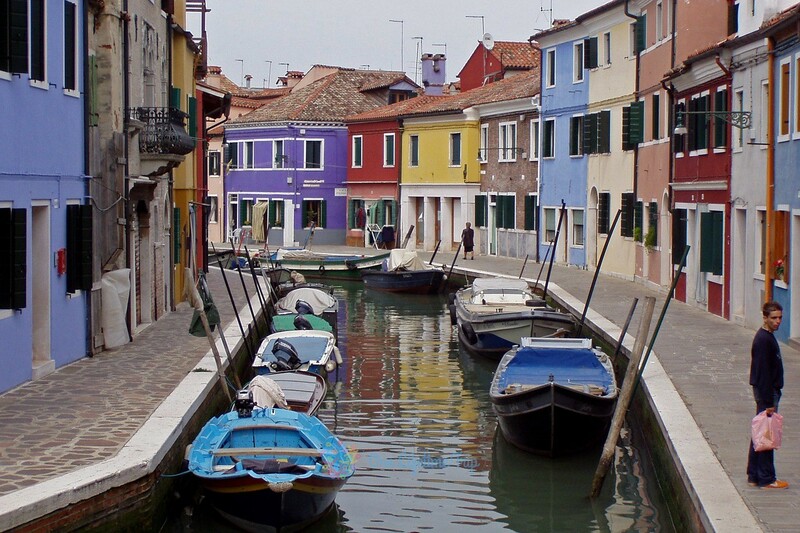 In addition to the sightseeing and tours Burano, Murano or Torcello are also worth visiting. 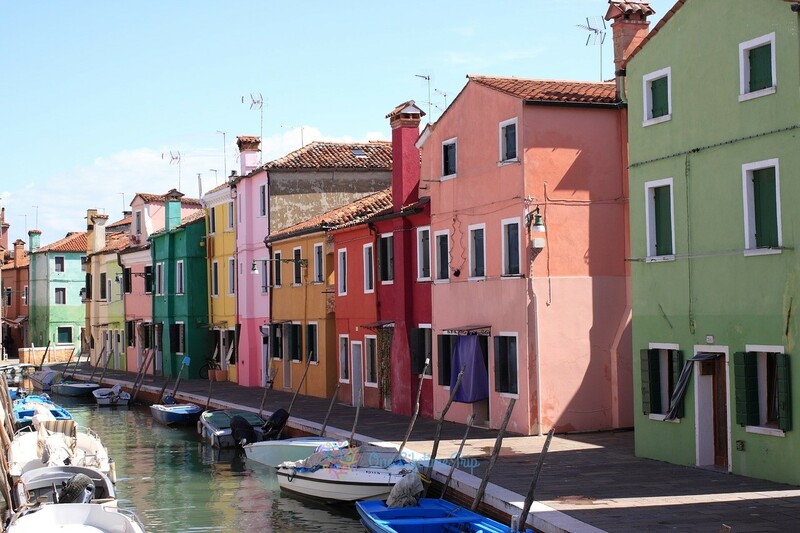 Burano is located just 7 km from Venice, and prepare yourself for vibrant colors, as it is famous for the colorful houses the locals live in. It consists of 4 islands that are connected by bridges and it has the most amazing lagoons. It is worth visiting here if you are in Venice, as it is a nice place to go for a walk. If you do not want to be part of the tourist mass come here early in the morning. 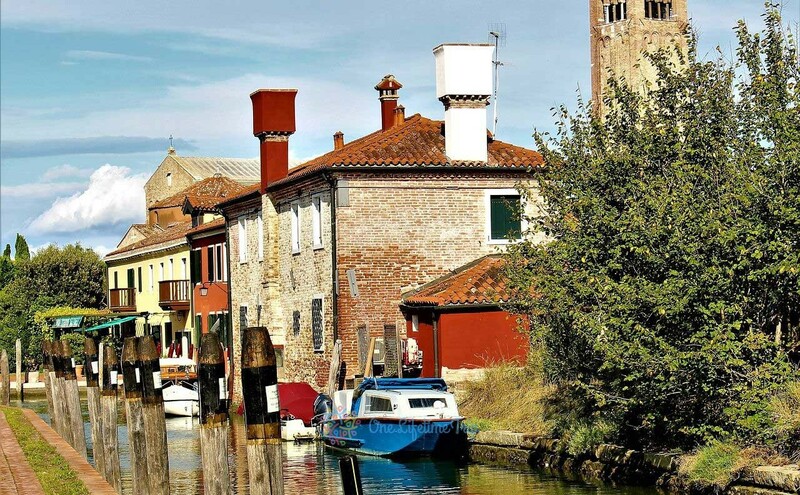 Murano is even closer to Venice just 1.5 km and it consists of 7 islands and 8 canals that are connected by bridges. It is famous for its glass production the unique Murano Glass. The art of glassblowing can be viewed on the island and of course you must stop by the Museo Vetrario the glass museum. The famous Basilica of Murano known for its 12th century Byzantine mosaics is also worth visiting. Murano is a peaceful, much quieter place than Venice but where else can you familiarize with glassblowing if not here? Torcello is a small, quiet island the ancestor of Venice, for those who are interested in history, should definitely visit it. There are not many sights here that worth visiting, but the 7th century Basilica, the Cattedrale di Santa Maria Assunta, are very beautiful inside and outside. 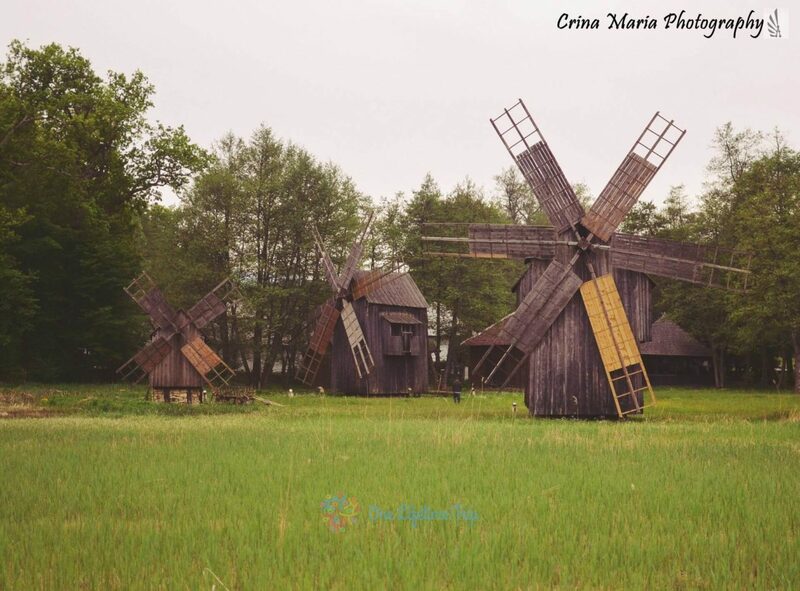 At the same time, there is a special “spirit-city” mood on this deserted island. Over thousands of years, Rome has enriched with many wonderful churches, sculptures, artworks, buildings, palaces, gardens, fountains, and squares that are renowned. 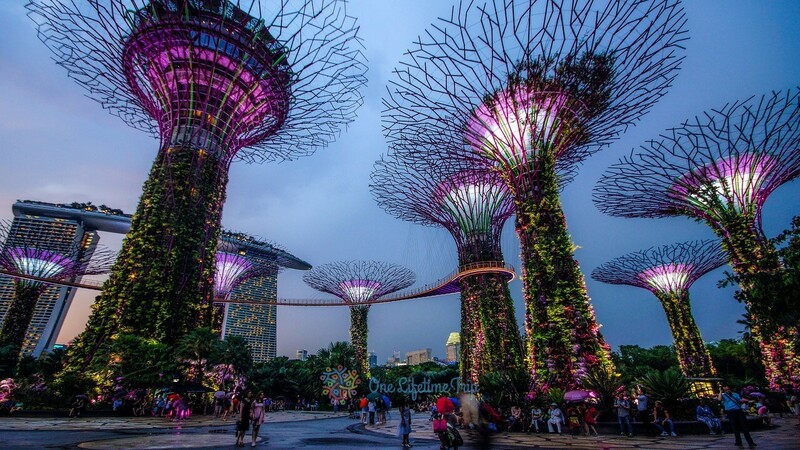 The place sometimes can feel like it is enchanted if you are a first time visitor. Make sure that you have your camera ready and comfy shoes on as this is going to be one lifetime trip. Exploring Rome is like a never-ending journey as there is always something new to see that is probably a thousand years old and that will take your breath away and leave you speechless. 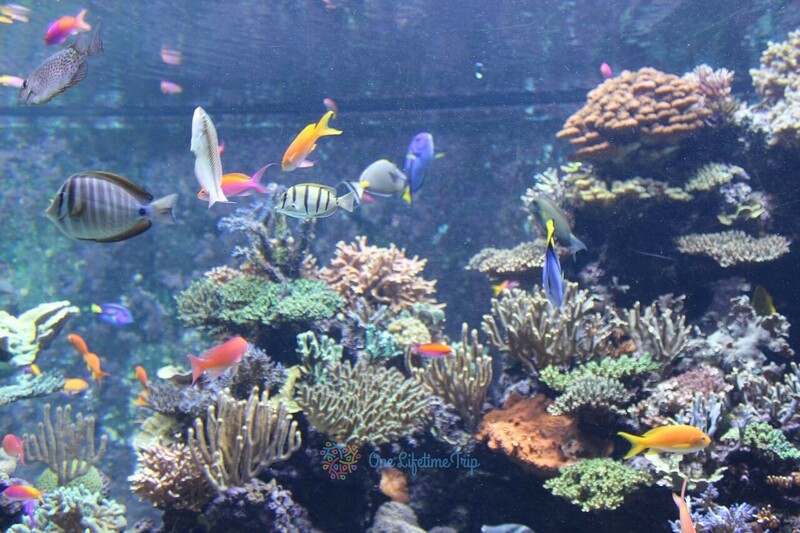 Because Italy is surrounded by sea climate in Rome is Mediterranean with some elements of continentality. Roma has warm winter and hot summer. 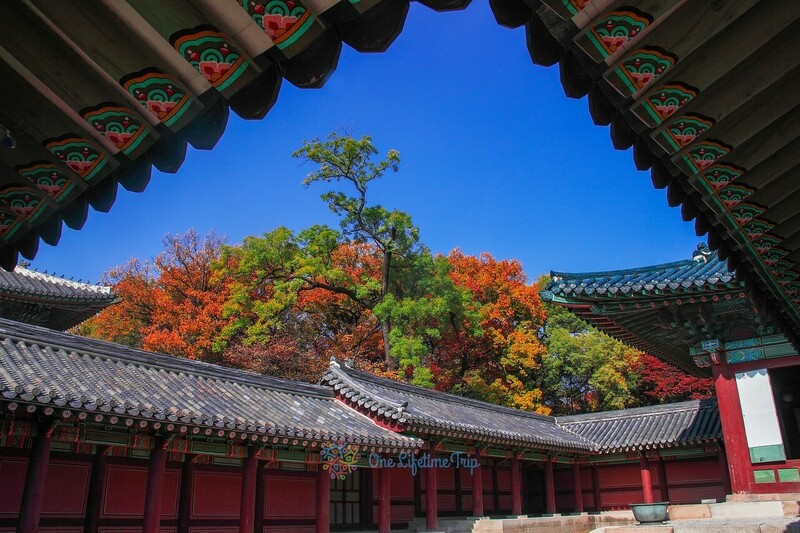 Perfect time for visit is between October to April because is less crowded and mild temperatures. In Rome you have plenty of option to move around. Perfect for a city break it’s a to buy a Roma Pass. 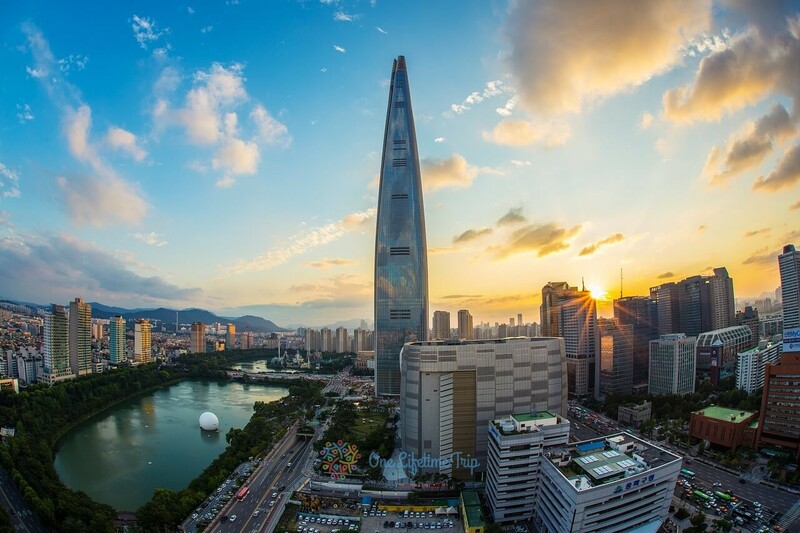 You can chose between 2 options 48h or 72h and you have full access to public transportation, free admission to some museums and other discounts. If you plan to visit Rome by car our advice is DON’T! Traffic it’s horrible, you can spend long time in car, finding parking spots, more time then here instead of visiting or enjoying your time. Moving around by taxi it’s the most expensive way to travel and you can be unlucky if you find a fake taxi, so be aware! A good choice is travel with local transport ( buses, trams, trolleybuses, metro, light railways) managed by ATAC. You can check here your options. Main language spoken is Italian, and around 30 percent of the people do speak English, mostly in tourist areas. Type L (three-prong plug) and Type F (two-prong plug). We suggest having a travel adapter if you are not from around. Main currency is Euro (€) with ATM’s available almost every street corner. Cash is preferred and tipping is not required but you can leave a tip around 10-15% off the bill. Italian cuisine is divers, rich, delicious, mouthwatering, sweet and savory. What you really need to try if you are walking down the streets of Rome and need a bite is arancini. You will not regret it. These are stuffed crunchy rice balls sprinkled with breadcrumbs and fried until golden brown served with a spicy tomato sauce with oregano and garlic. If you are very hungry and need more than a bite lasagna is always an option. This well-loved Italian dish is made with minced meats, lasagna noodles, béchamel sauce, tomatoes and parmesan cheese. The 433 restaurant is praised by many. In the restaurant at Piazza Navona you can enjoy a delicious menu for 12 euros, which includes bruschetta’s, pasta or meat and dessert, plus wine and water. The dishes are delicious and the ingredients are fresh. For a great price, you get first-class quality (that is not the case with a few other menus offering this price), so it is one of Rome’s best value-for-money restaurants, which is also centrally located. Ad Hoc is one of Rome’s finest restaurants in all respects: location, service, quality of food and taste are all of first class. The prices are not high as compared to other places and it is a very romantic, stylish, cozy, especially nice restaurant in Rome. Many say that Ad Hoc deserves even a Michelin star. The menu is abundant, famous about the dishes made with truffles and the great and wide selection of wines they serve. If you not looking for something fancy but something more family friendly the Antica Osteria Da Giovannp is a great traditional, authentic, Roman family restaurant, where local people prepare your meals. 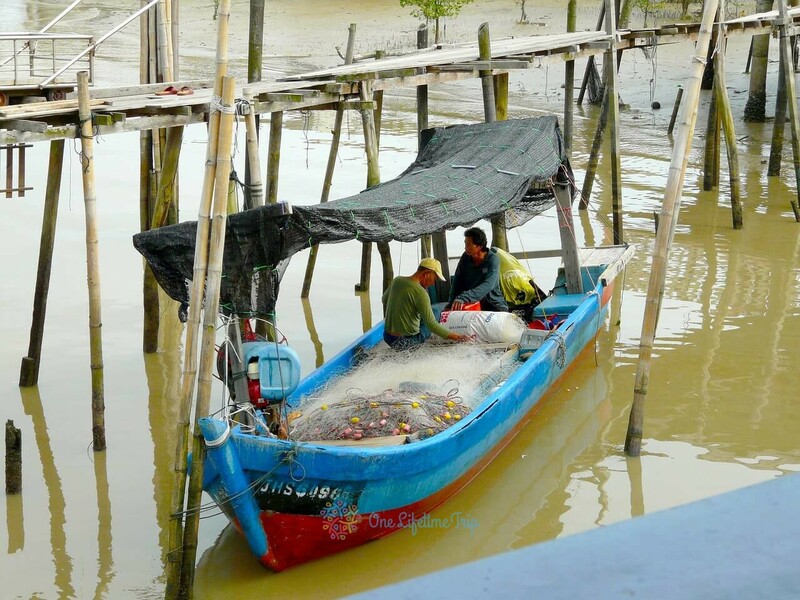 In this small restaurant you can have a great value for money lunch where in addition to cheap prices, varied and delicious menus can be eaten. Gelateria La Romana is an ice cream parlor that is considered to be one of the best in Rome by very many people, along with tourists and locals alike. It is a large ice cream parlor that is present in several cities in Italy and offers the best ice cream in town. The ice cream is authentic, unique with great, clean flavors. In this ice cream parlor, besides the must try ice cream you can also buy biscuits, cakes and ice cream deserts limited by your imagination. However there is also a down side, the lines are almost always quite long but it is definitely worth the wait. A popular restaurant among locals and tourist in the Monti square is Ai Tre Scalini. 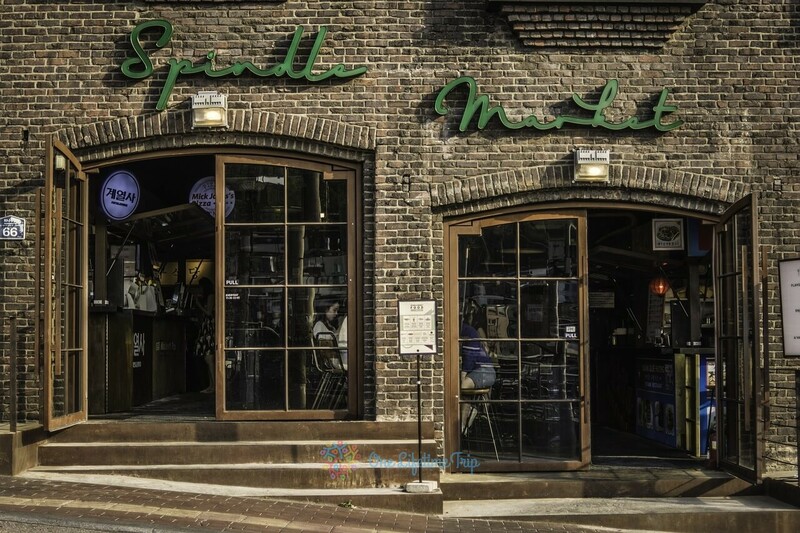 Here you can find authentic Italian food specialties, and they offer over 100 kinds of wine. Traditional Italian dishes are served, which are made from high quality ingredients. 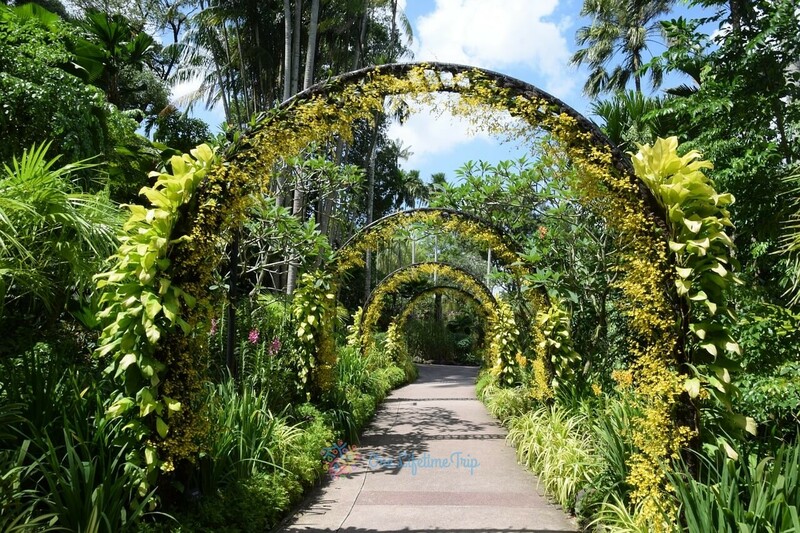 The ambience of the place is also enchanting and it is very popular. 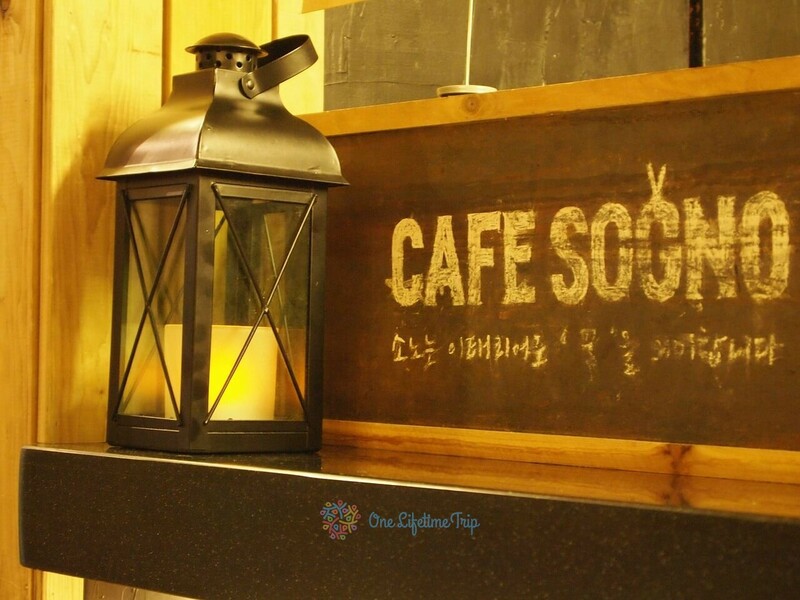 It is always a sparkling restaurant, but keep in mind that it is also a bar, so if you want a quieter, more relaxed dinner do not choose this restaurant. Due to its popularity, we advise you to go early or reserve a table. In addition, the price is only 10 euros for main courses, which is a very low price compared to the quality wines and foods they serve. If you want to go for a drink in Rome, go to the Trastevere square, in the immediate center of the Santa Maria Trastevere Basilica. Bar San Calisto is a trendy, authentic bar of the locals where a beer is 2.50 euros, which is probably the cheapest in Rome. 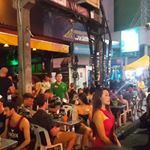 The place is always full as it is very popular, it is also simple yet the atmosphere is always great. Rome is a destination you must visit at least once in your life. If you plan to visit you must know Rome has two airports. “Leonardo da Vinci” Airport is used by the most of airlines companies and Ciampino Airport is used by low-cost airlines. Italy mostly functions under a cash economy so make sure that you have a few euros in your pocket as paying with a card is not always an option. Watch your bags and valuables at all times, Rome is a safe city but petty crime is still pretty common. Dress properly and avoid shorts, skirts, uncovered shoulders as you will not be allowed to enter in the churches if you do not respect a specific dress code. 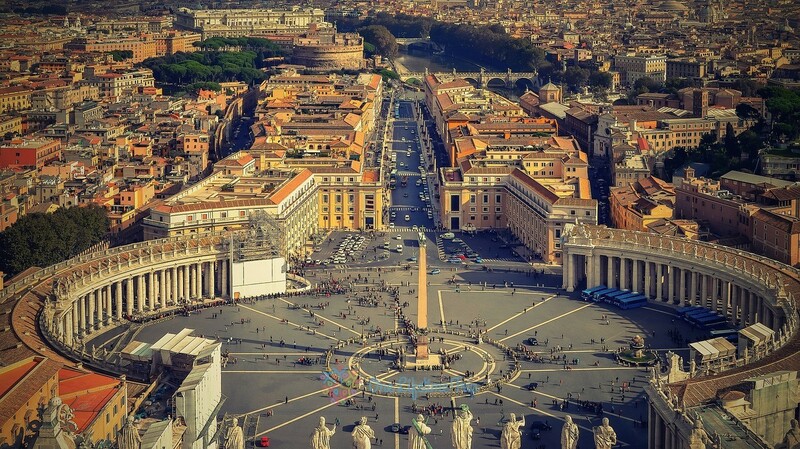 Save time by buying online tickets to the Vatican Museums and avoid the long ques. If you want to save money you can go on the first Sunday of the month when you can visit the Vatican Museums for free. However don’t say that we did not warn you that the mass is unbearable on these days. Generally long queues can be avoided by buying tickets online or having a Roma Pass or Roma Archeology Card. In addition to online shopping, the tickets can also be purchased in person at the Colosseum’s Info Point. Last but not least enjoy all that this magnificent city has to give and be grateful for it. 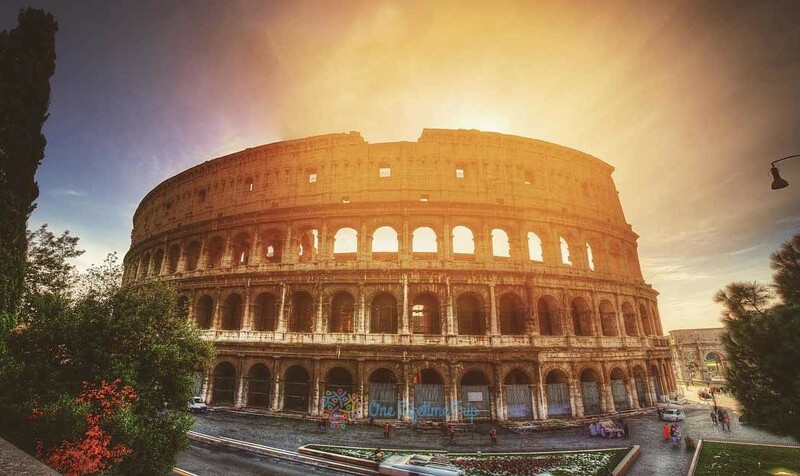 We highly recommend the Martini Rooms which you can book for only €10 or Termini Colosseum for only €12 but with free breakfast, also if you are looking for a 4 star hotel we highly recommend The Britannia Hotel for only €110 but including everything even a spa and airport transfer. 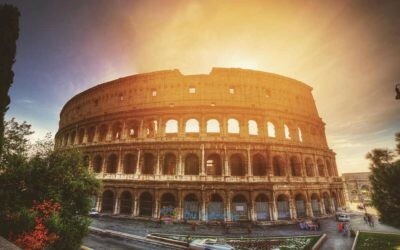 Rome has multiple options for finding a cheap or expensive place to stay. As I said, could be expensive but you can fit also on a budget. 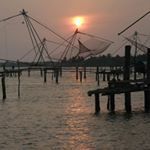 If you don’t have to worry about your budget can book plenty of hotels rooms and pensions where you like on www.booking.com or www.agoda.com. Also if you can stay with them for free using Couchsurfing app. You can use it also only if you want to meet with them. 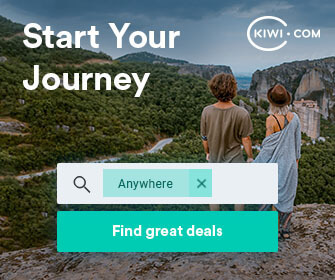 If you are traveling on a budget or not couch surfing seems to be a good idea. First of all, it’s a chance for you to talk with a native and learn about day by day life in new york city. If your plane landed to “Leonardo Da Vinci ” Airport you have two train lines to get to the city. First one is “Leonardo Da Vinci” Express and leaves at every half of hour and cost 14 euros. 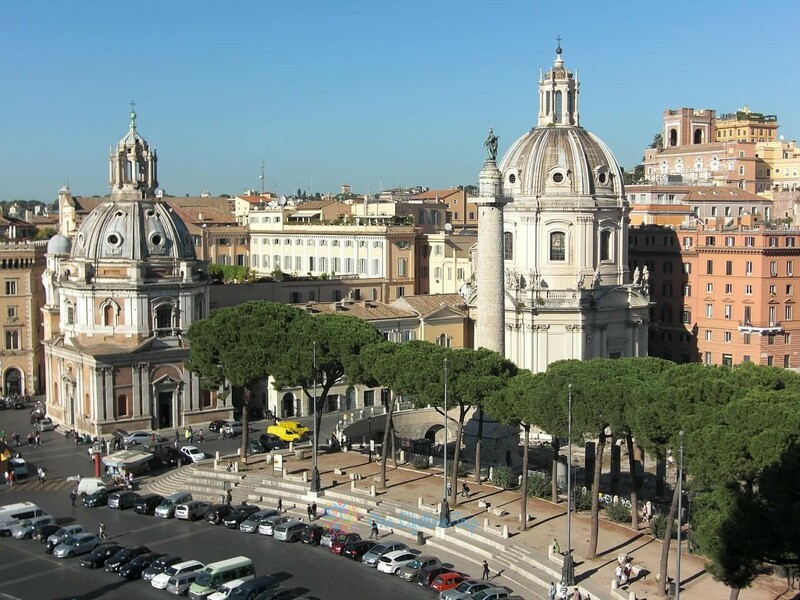 The journey takes 35 minutes to to Rome’s central train station, Roma Termini. The second line is FL 1 line, the suburban train which doesn’t stop to Roma Termini but you can find different option travel where you need. Also the most cheapest way to travel for this airport to Rome is by bus with Terravision Bus. The journey to Rome city center take around an hour and cost 7 euros one-way and 10 euro round-trip. Of course, if you are buying online you can be cheaper. Of course you can try public transport buy you might be more complicated. From Ciampino your choices to get to the city center are more easier. 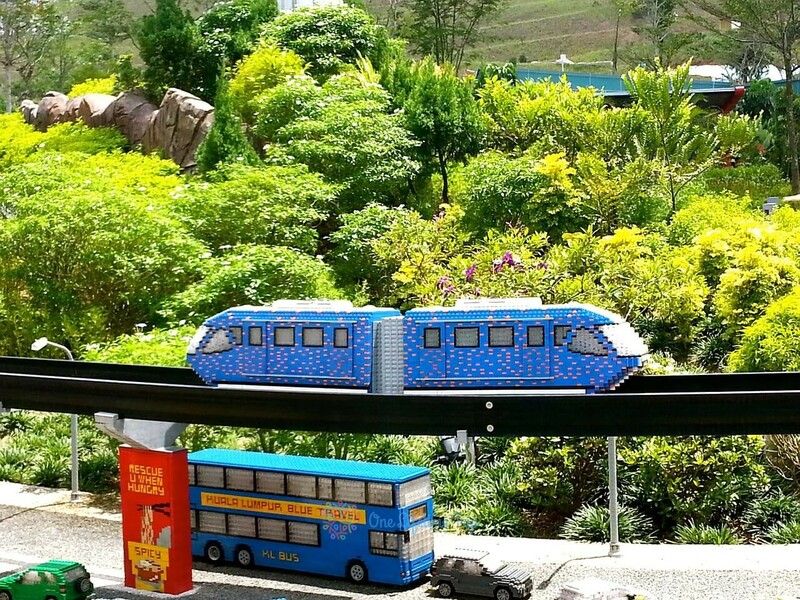 You can use public transport, buses, taxi and car rentals. The cheapest way is bus no 520 and you can combine with other metro, depending on your need, of course. By bus you have three choices: Terravision Bus, Sit Bus Shuttle, or Cotral. Prices and hours you can check on their websites. Now we are getting to our top. 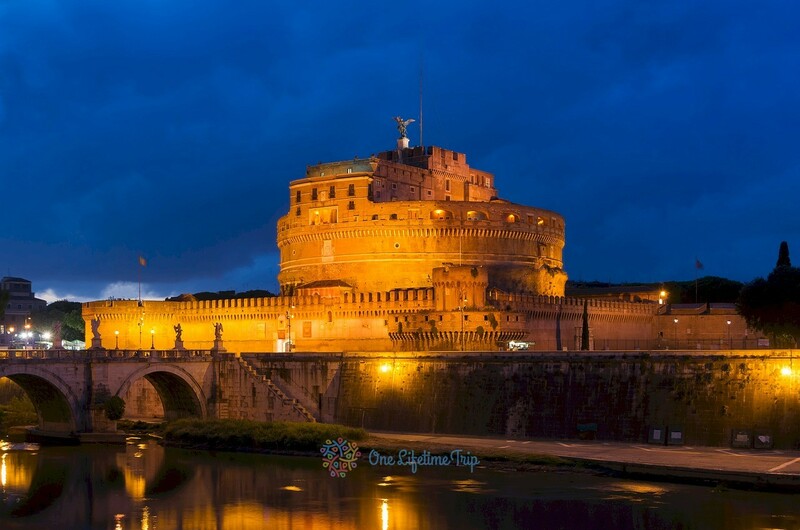 Here are some of the most beautiful sites Rome presents to its visitors. In other words, let’s start! The Vatican is one of the few enclaves of the world that is a country that is entirely located in the territory of another country. 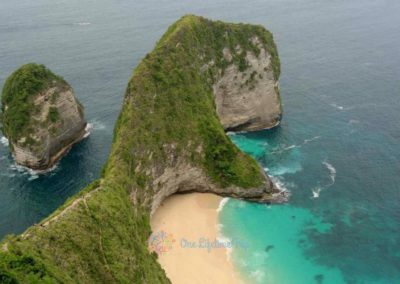 Founded in 1929 this is the world’s smallest nation with 442 hectares of land and 801 inhabitants, according to the latest estimates. 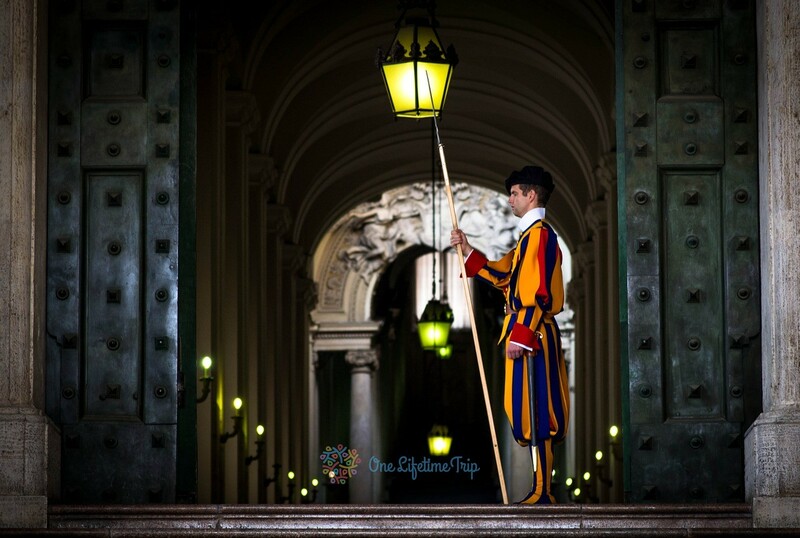 The main attraction of this small country is Saint Peter’s Square, Saint Peter’s Basilica, the Sixtus Chapel and of course the 14 magnificent Vatican Museums. Basilica di San Pietro is one of the four great basilicas of Rome. The Renaissance-style basilica was built between 1506 and 1626. The basilica is the most prominent building in the Vatican. The Basilica’s dimensions are astonishing.. Until 1989, it was the largest Catholic Church in the world, when it was preceded by a basilica in the capital of Ivory Coast, Yamoussoukro. It has an area of ​​2.3 hectares and has a capacity of more than 60.000 people. 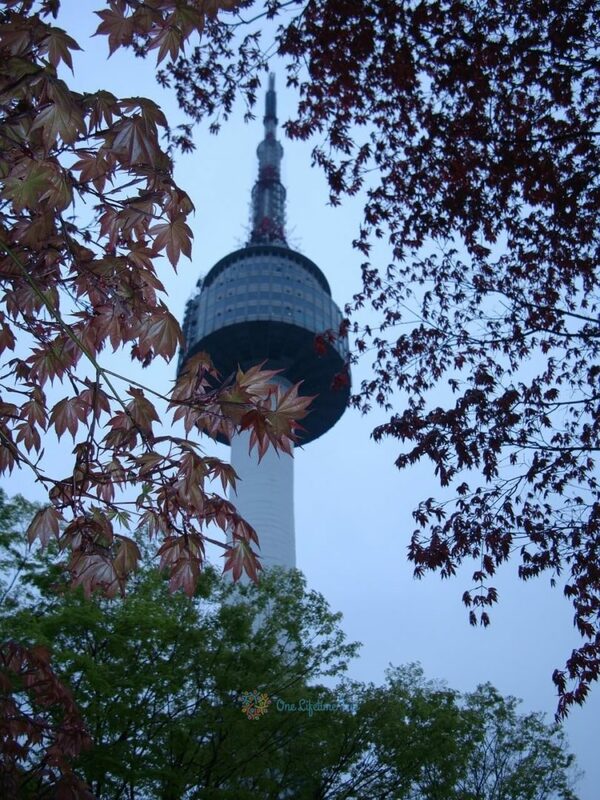 Its length is 211 meters, its maximum width is 186 meters and its maximum height is 132 meters. Among the many important works of art found in the church, Michelangelo’s Pieta of 1499, must be emphasized as it is the only art piece of the artist between these walls. The statue depicts Mary holding Jesus after the crucifixion. 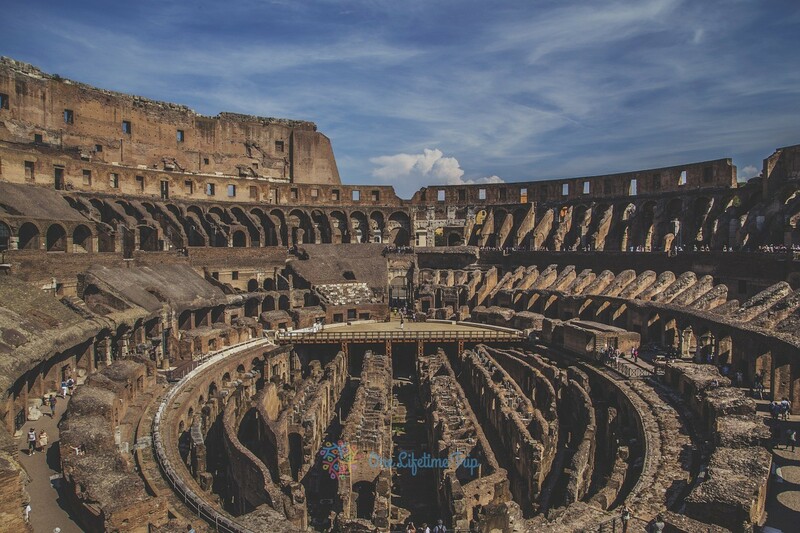 One of the symbols of Rome is the Colosseum, the largest amphitheater built during the Roman Empire and one of the most important works of Roman architecture. It lies east, next to the Forum Romanum. 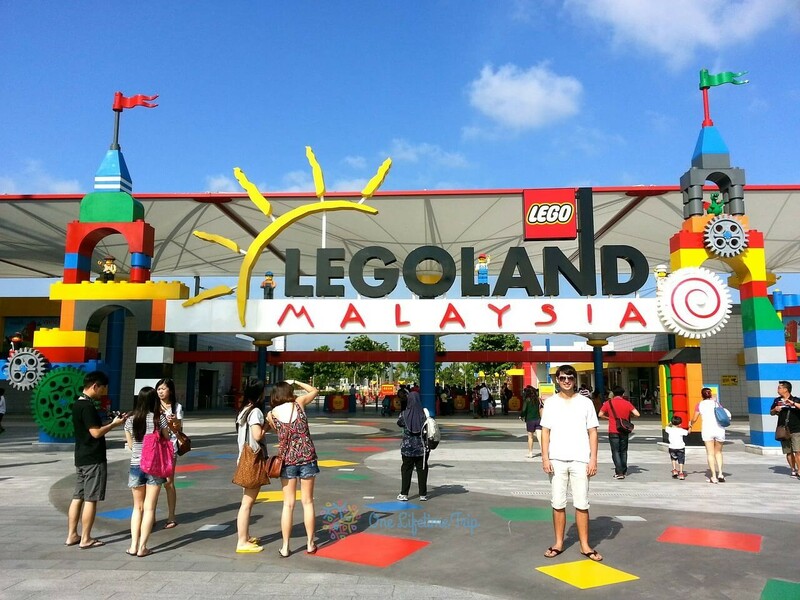 Its dimensions are 48.5 m high, 156 m wide and 189 m long. It was commissioned by Emperor Vespassianus. He was able to accommodate an approximate of 70.000 spectators. The audience was entertained by gladiators who were fighting each other or wild animals. It was also the scene of public executions. Its fading appearance is not only due to the harshness of time but to earthquakes and stone robbers as well. Between the Capitolium and the Palatinus Hill, west of the Colosseum lies the center of ancient Rome, which is still being discovered, so locals and tourists can easily imagine the once lively bustle and the flourishing of Roman culture. 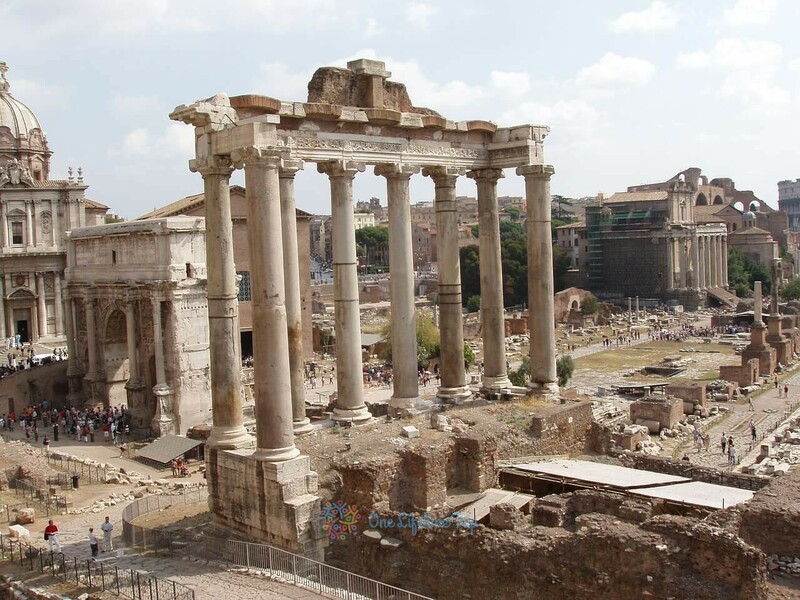 Forum Romanum was the center of Rome’s, judicial and political life, and trade. In addition to the houses there were shops, markets and churches. The Forum Romanum had a holy church dedicated to various gods such as Saturnus, Janus, Vesta and Concordia. The senate was also located here and the execution square. 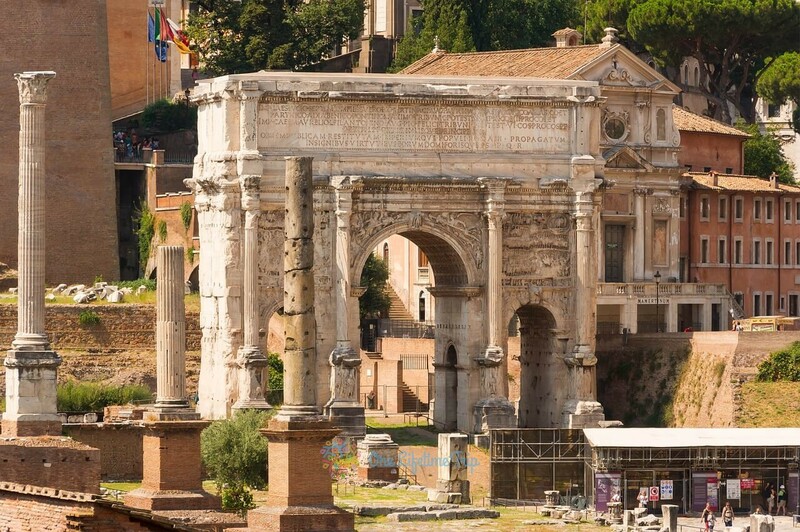 Today you can see ruins of basilicas, palaces and triumphal arches. There are also night tours you can attend to visit the Forum Romanum and admire the ruined remains of old times in the moonlight. 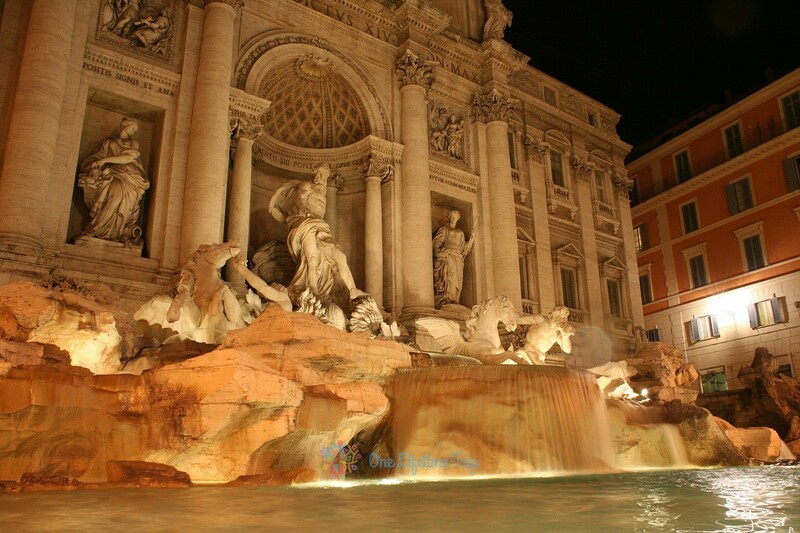 One of the most famous and beautiful fountains in the world the Trevi Fountain. Don’t forget to have a coin in your pocket as it is believed that he who throws a coin over his shoulder in the Trevi Fountain will one day return to Rome. 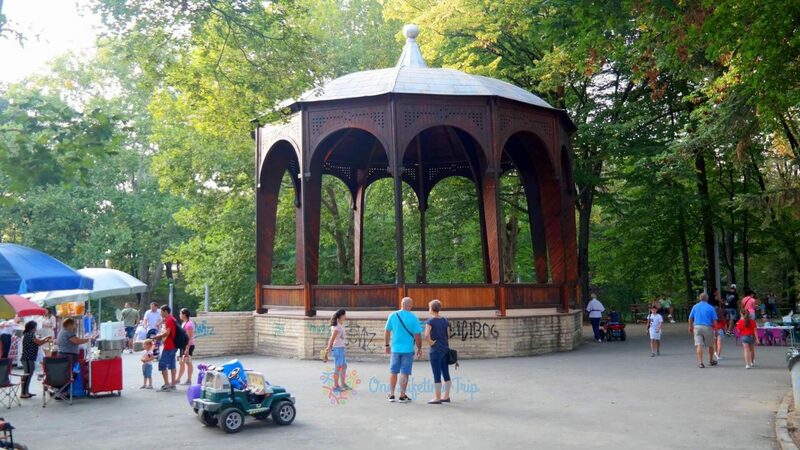 From coins daily, approximately 3000 euros are collected, though some fancied thieves occasionally use magnets to steal from the fountain. 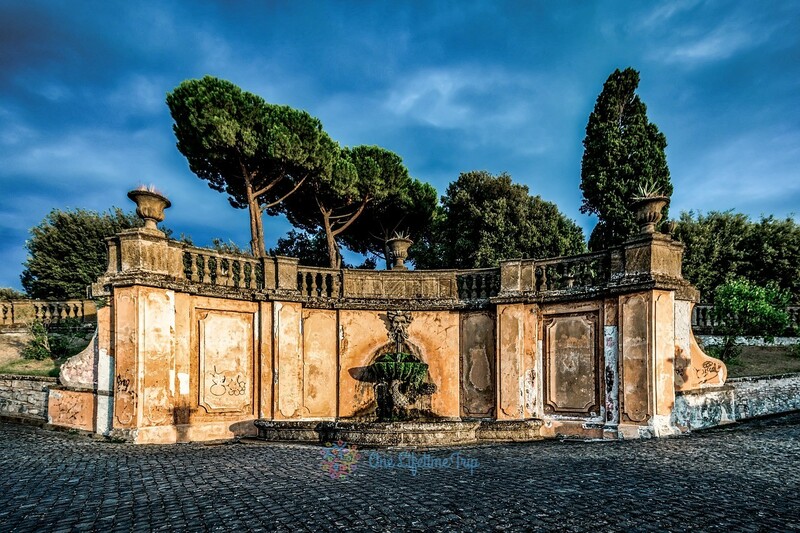 The baroque fountain was built on the plans of Nicola Salvi and was completed in 1762, and has since been restored several times. It is Rome’s largest fountain 26 meters tall and 49 meters wide. 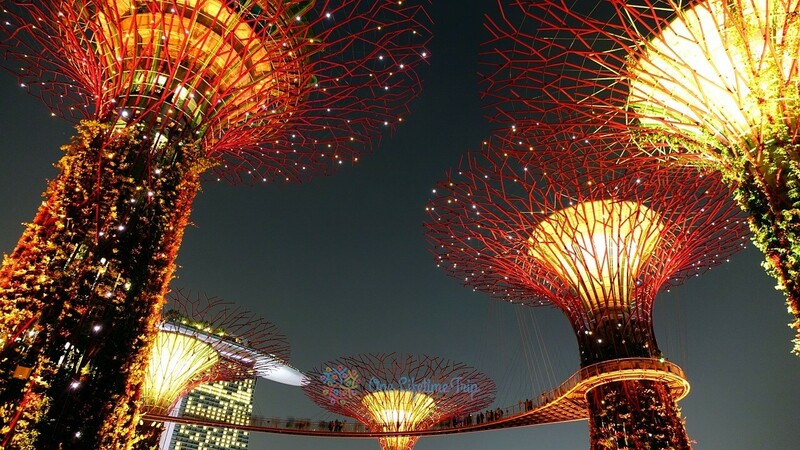 It has more than 100 lights installed so in the nightlight it is even more beautiful. 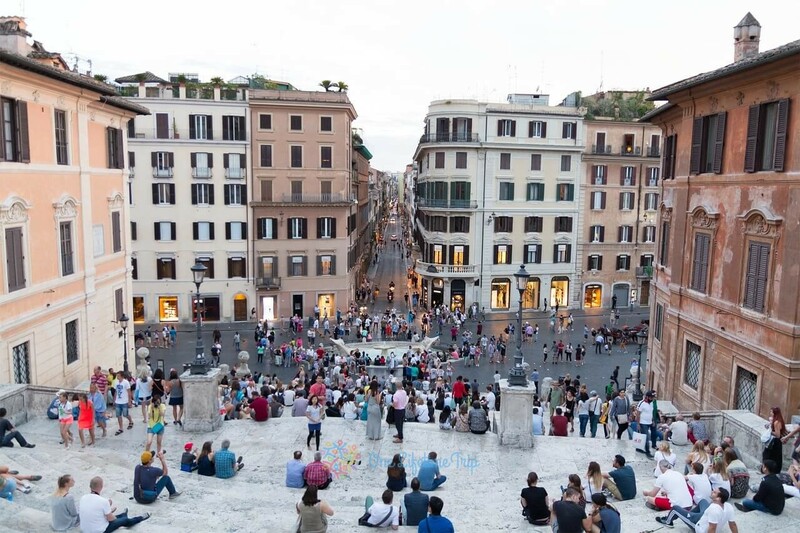 The Spanish Steps were built between 1723 and 1725 and lastly renovated in 1995. It is Europe’s longest and widest outdoor staircase, one of the favorite venues for the Romans and has 138 steps. The name of the Spanish Steps is because the Spanish embassy is still located here, though it might be called The French Steps as well, as it is due to a French diplomat Étienne Gueffier, whose significant donation help in the building of the steps. The Pantheon is one of the best preserved ancient Roman monuments, and probably one of the earliest buildings of its time. 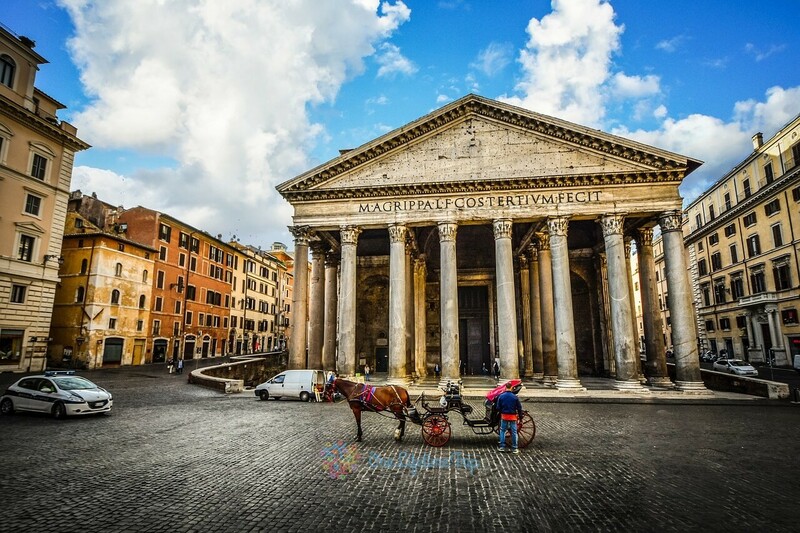 It was built in honor of the seven gods of the Pantheon of the State of Rome, since the beginning of the 7th century, and today it is a Christian church. 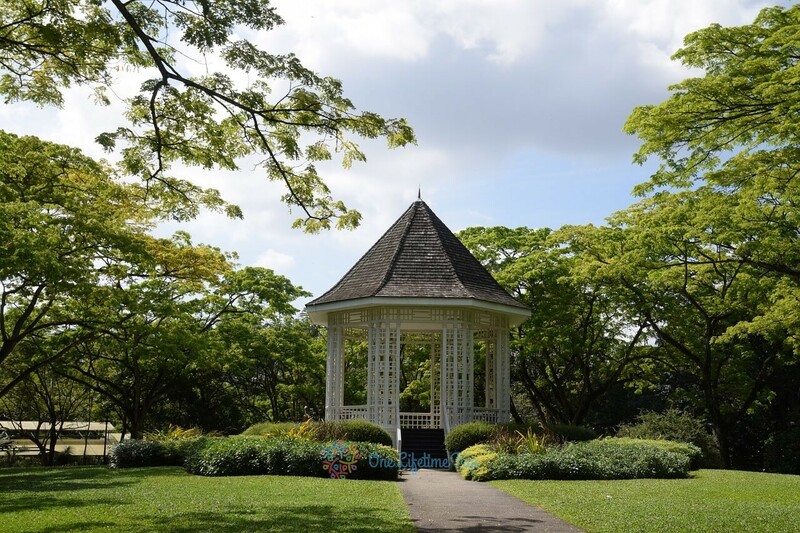 It also serves as a resting place for many famous people. The dome is a miracle of engineering as in the 2th century it was possible to build a dome that was bigger than the dome of the Basilica of Staint Peter and by 1960 was the world’s largest freestone dome. Saint Angels Castle was built it as a mausoleum by a Roman governor for himself and for his family. Basically it is a gigantic burial site. 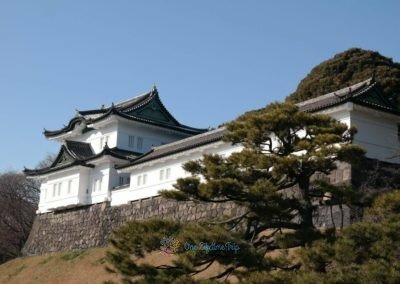 For nearly a thousand years it has been a fortress and a castle, and today it is a museum. You can also see the torture chamber in the cellar and a great collection of weapons. The name of Angel was given by the angel statue at the top of the fort. From the roof you can see a wonderful panorama of Rome and the Vatican. The bridge to the Angel Castle, Ponte Sant’Angel, is considered by many as the most beautiful bridge in Rome. The bridge is decorated with ten angels, but the angels were added to the bridge in the 17th century thanks to Bernini and his disciples. There are many Christian and Jewish burial places in Rome, but only a few can be visited. The world’s most famous and most extensive catacombs are undoubtedly in Rome. There are 5 Catacombs in the city that can be visited dozens of martyrs and 16 Popes are buried here. There are about 20 kilometers of Christian catacombs that can be seen on a great guided tour. The boat-shaped island on the River Tiber is very small: 270 m long and 67 m wide. Certain sources say it is the smallest inhabited island in the world. Once there was a large church here. 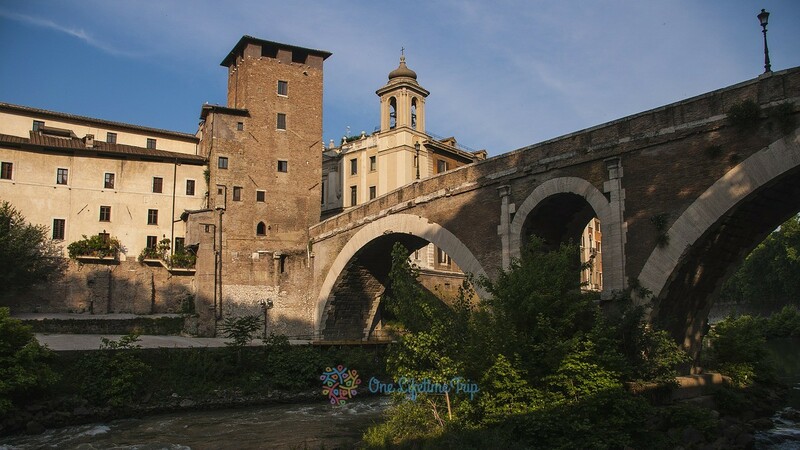 It is connected with Rome by two bridges; Pons Fabricius the oldest bridge in Rome, and Pons Cestius, connecting the island with Trastevere. Sometimes it is a great experience to leave the hustle and bustle of Rome on the banks of the Tevere and watch the river and the birds. There are restaurants, cafes and ice cream shops on the island for you to enjoy. Piazza Venezia is a nice square with good views and photo taking opportunities. For the most beautiful panorama, go up to the top of the monument where you can have a cup and enjoy the 360 ​​° view of the Colosseum, the Forum and all of Rome. The enormous 135 m high, 75 m wide monument, which many Roman and tourist love, but many people hate and say it is ugly because it is too big, can be seen from almost every part of Rome. The Romans call it a “wedding cake”. The memorial was given as a sign of gratitude to the first king of Italy, II. Vittorio Emanuele. 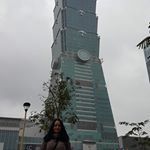 In 1895 it was designed by Guiseppe Sacconi and finally finished in 1935 it is made of white marble from Bottinió. In the memorial, the tomb of an unknown soldier can be found, with a legacy, which was built after the First World War. Calcata is beautiful, but it is dangerous. 47 kilometers from Rome, Calcata is an enchanting place that thanks to its unusual location, gives visitors a taste of the beauty of nature and the unusual historical atmosphere of the past. 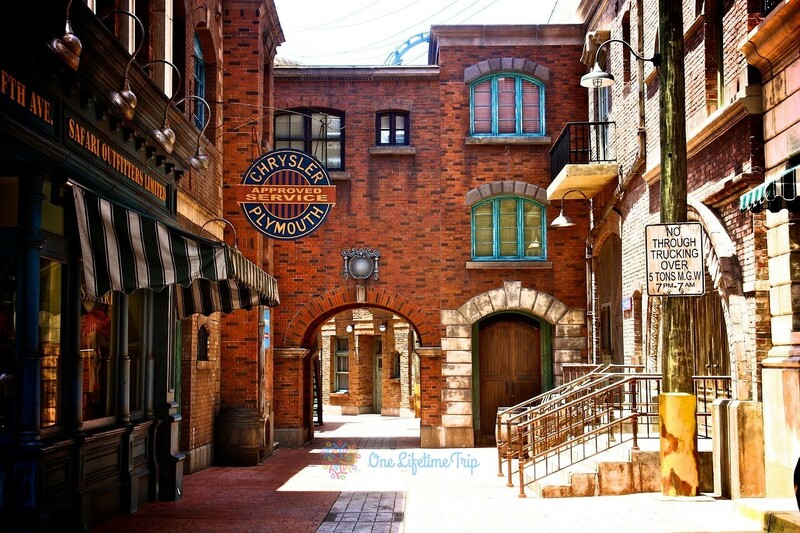 The city has a rich history, but in the 20th century it was for a long time abandoned. In the 1930s, its inhabitants abandoned that place, fearing that the rock beneath the city will collapsed and the settlement would sink into the deep. Local people moved to Nuova Calcata, New Calca. The danger, however, did not hinder the hippies and the artists who had settled in the abandoned buildings. Although in time they had persuaded the authorities that the city would not collapse and got housing permits, still many people consider it risky planning for long-term in Calcat. 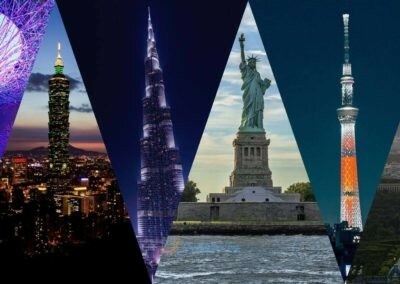 The city is also looking forward to the special atmosphere of today’s tourists. Restaurants, cafés and galleries also work between the old-fashioned walls. You may even visit some of the homes of some residents. In the main square of the city there are three stone-carved thrones waiting for those who wish to rest. 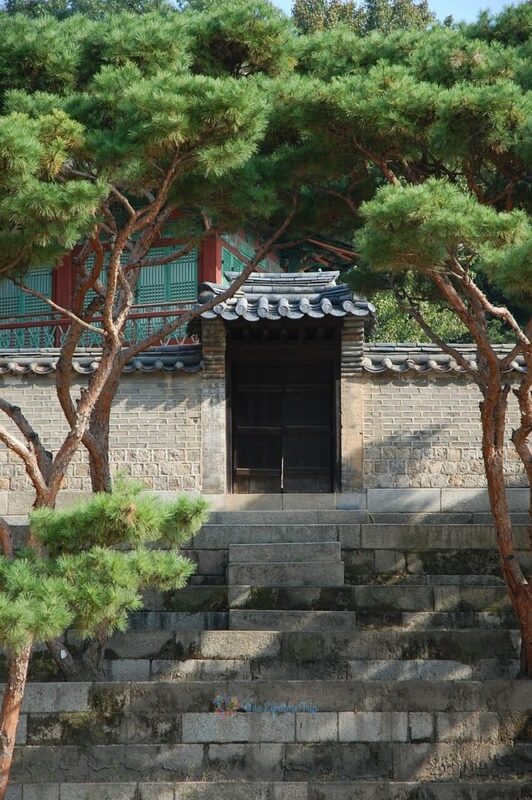 In the nearby woods you can view, Constantino Morosin’s stone statues and other status made by local artists. Calcata is a popular destination that gives an unique experience for however is interested in something new, different. 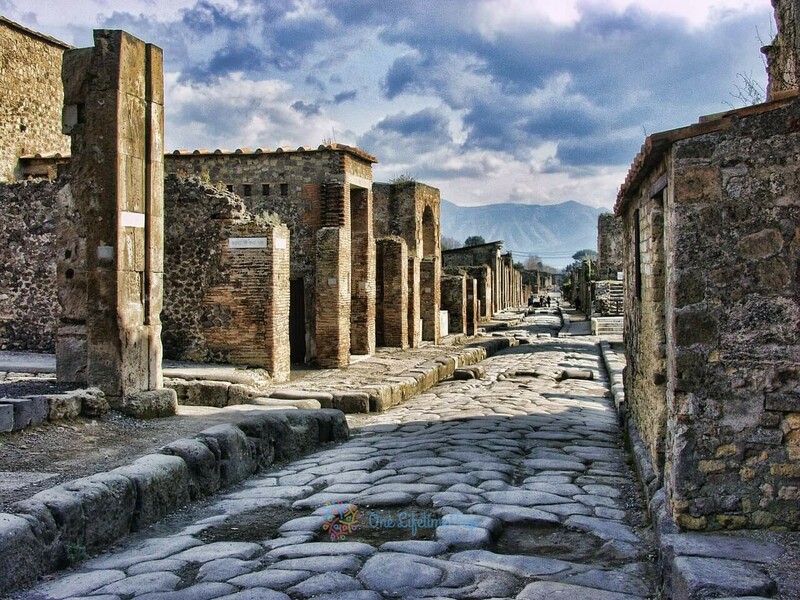 If you want to see a town frozen in time you can see Pompeii “thanks” to eruption of Mount Vesuvius from 79 AD. 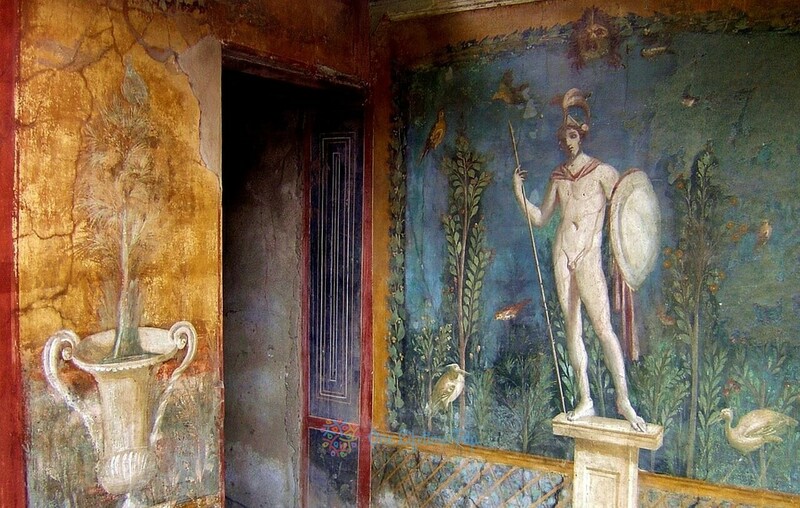 You can discover here how Roman live used to be. The architecture is very well preserved and it’s amazing have have done this huge ancient tragedy. 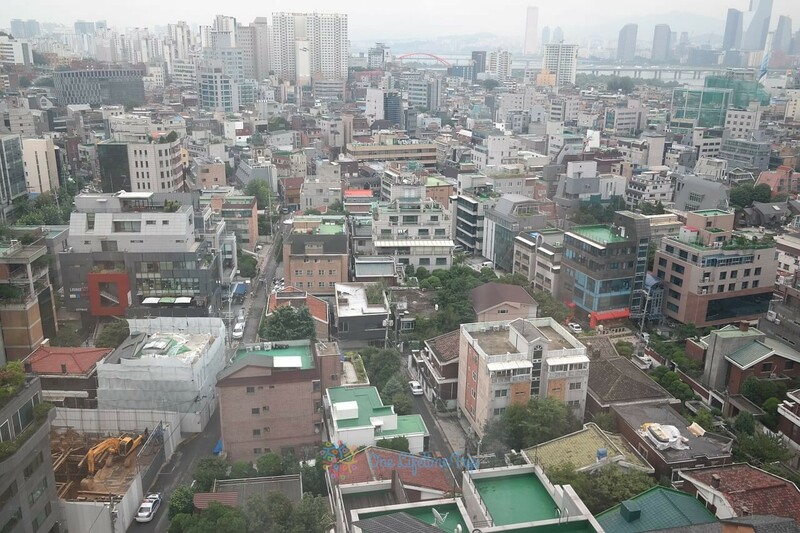 You can see a whole town, with all the normal exuberance of city life, stopped in its tracks. You can book a personalised guided tour, join a group tour or wander by yourself with a map in hand. 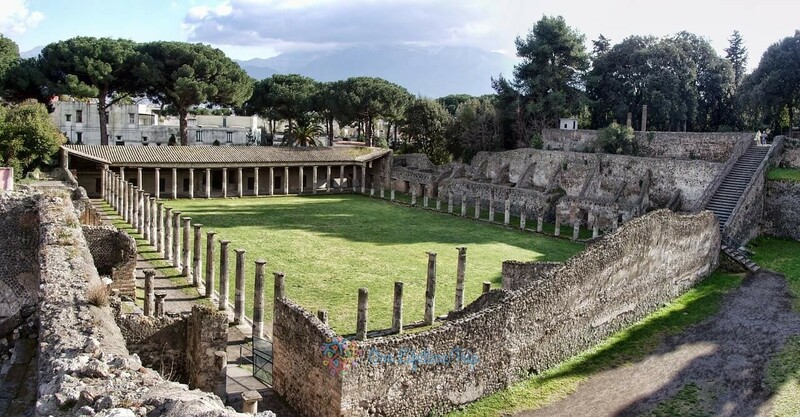 If you are interested of old Roman history you can visit Etruscan sites from Cerveteri, Tranquinia and Vulci. 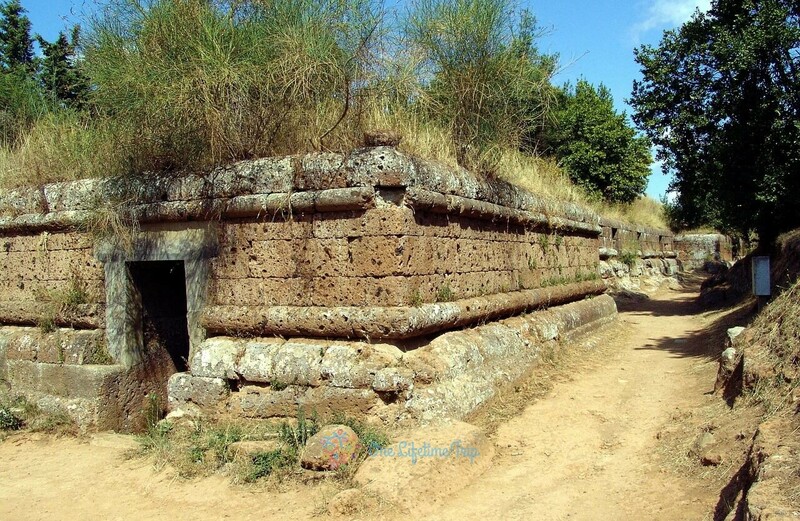 In Cerveteri you can visit Etruscan Necropolis name “city for the dead” with plenty of tombs good to visit. In Tranquinia you can visit the Etruscian Museum and also have a Necropolis with painted tombs, some of them pretty well preserved, some of them not so much. Also, don’t miss Etruscan Museum at Villa Giulia. Vulci was pretty active because of Greek labours in production of ceramics, sculptures and bronze objects. Here you can visit Tomb of François and Tomb of Inscriptions. Frascati is considered one of Castelli Romani built on top of a hill founded by Latins before Rome. 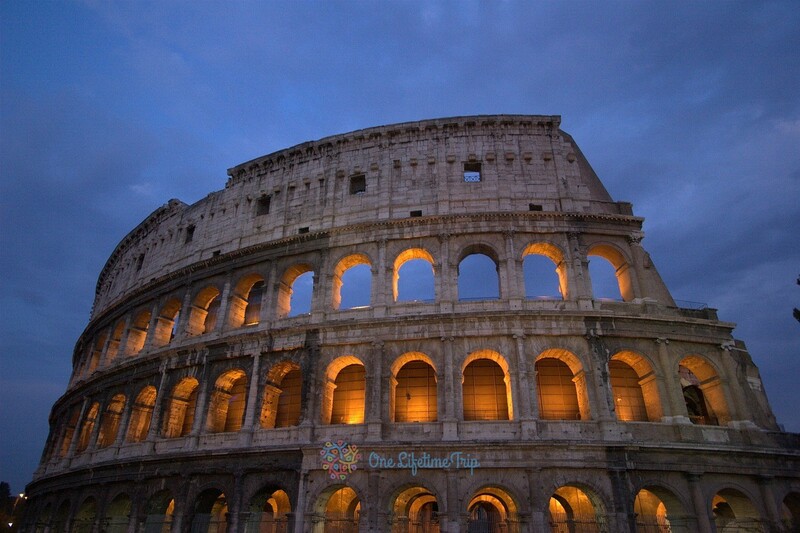 It’s a nice place where you can eat good pizza and see a living history before eternal Rome. If you have the opportunity to visit don’t miss Villa Aldobrandini where you can see a nice view of Rome. Scuderie Aldobrandinian archaeological museum with pieces from the ancient Roman town of Tusculum. 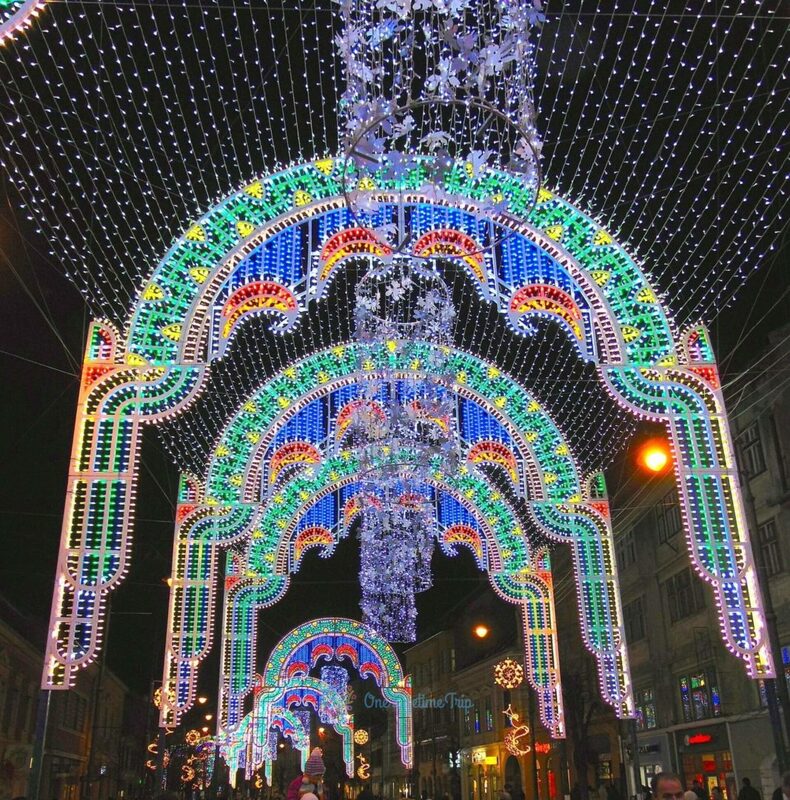 Sibiu was chosen to be European Cultural Capital in 2007 – 2008, and every year since then the city exploded with events that happens every single weekend so come, there is always something happening. 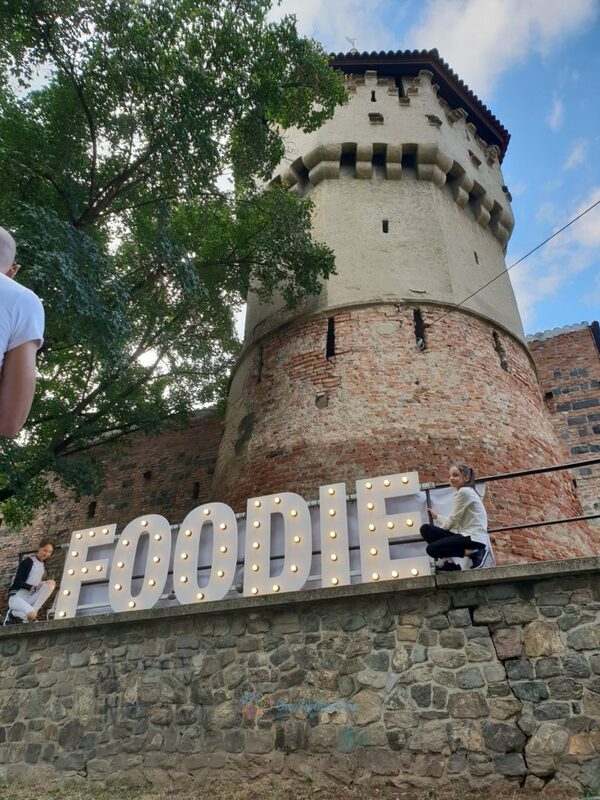 As of 2018 Sibiu was chosen to be Musical Capital of Europe, with plenty of show’s happening as well as of 2019 Sibiu will start hosting Gastronomical events so if you want to try food here is the best place to do it from all Romania. 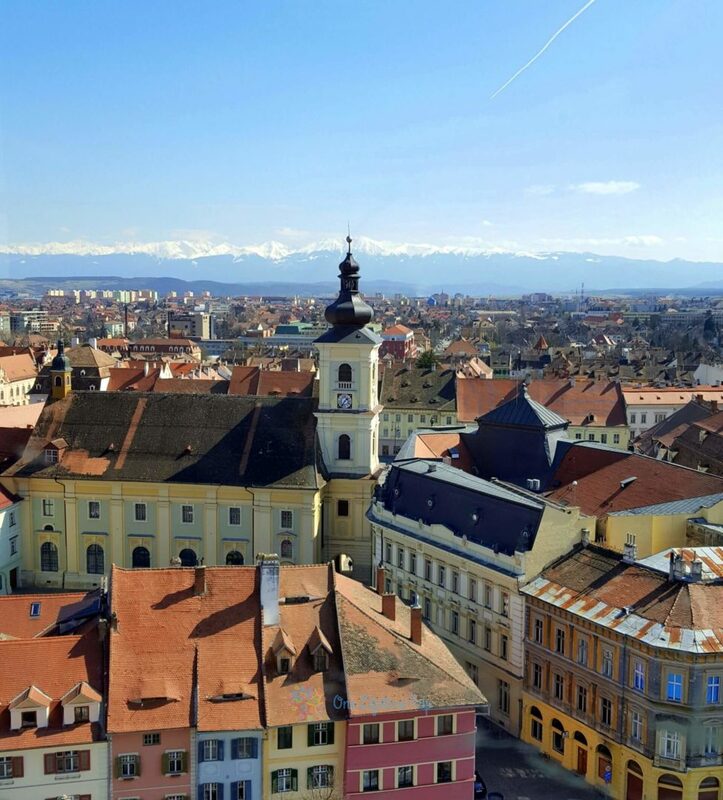 It’s perfect to visit Sibiu in spring between March to May and in summer – autumn between April to November. The summer can be sometimes very hot with temperatures reaching up to 40°C/104°F and in winter it can go down to -30°C/-22°F so please dress accordingly, because temperatures can vary a lot. 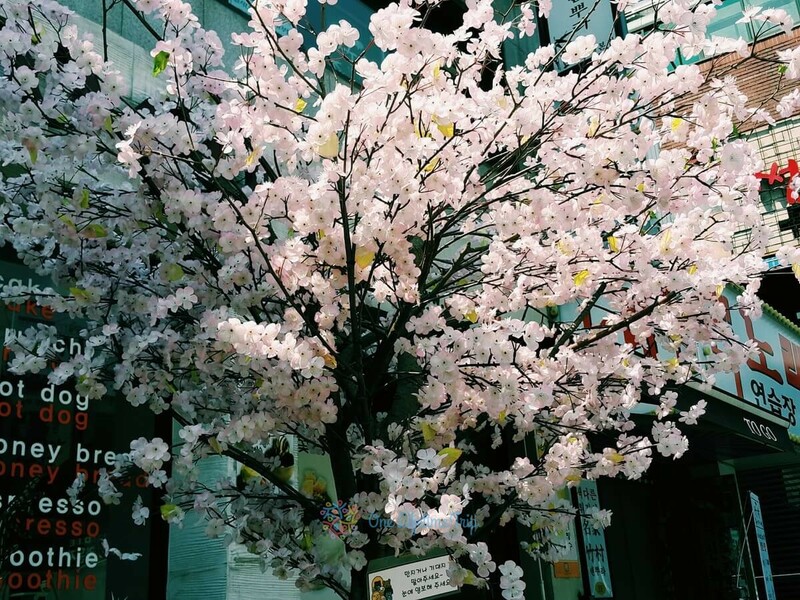 The best time to visit in our opinion is during summer start in April – May, it’s perfect for almost any activity but it depends on what your favorite activities are. Getting around city could be difficult but it’s not impossible. The easiest way to travel it’s by using the local bus system, as there is no metro in the city. Almost every bus station is equipped with automated ticket selling machine in multiple languages so it’s easy for you to buy a ticket at a price of 2 Lei / 0.5 Cents but they do not sell passes. 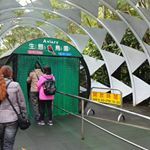 In order to buy a ticket pass you need to find once of the kiosk clearly designated TURSIB, where you can buy 1 day pass for 5 Lei / 1 Euro or 7 day pass for 18 lei / 4 euro. You can also pay directly into the bus if you have a contactless card for the same price, but take notice not all contactless cards will work so have a ticket with you before. The main language spoken is Romanian, but a lot of people do speak English as a second languange so don’t be afraid to ask for directions or people out for a beer. In Sibiu the power sockets are european. This socket also works with plug C and with plug E if it has an additional pinhole, we suggest having a travel adapter if you are not from Europe. Main currency is LEU. 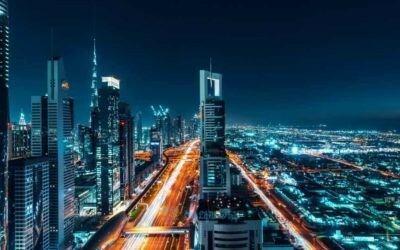 Though exchange centers are available at airports and most tourist attractions, the best way of exchanging currency is to withdraw from ATMs – which is both the fastest and cheapest method of doing so. 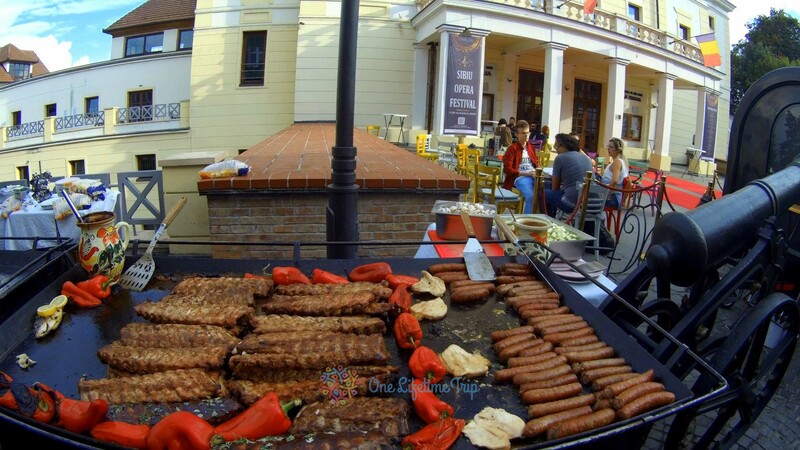 In Romanian culture there are so many food items that you have to try, like Sarmale, Ciorba de burta, Iahnie de fasole, Ardei umpluți, Mici, Mamaliga and many many others that we will visit at the end of article. But unfortunately, a lot of tourists mistake Romanian food with some of our country neighbors like Baclava, Gulas, Papanasi, Kurtos Kalacs, Langos and many others so please don’t be deceived before eating and do a little bit of research. If you are looking for cheap but good Romanian food, you can find it in one of the 6 Super Mama restaurants, one being right in the city center or if you are into kebab, then you should go to Turkish Kebab where you will not be disappointed. 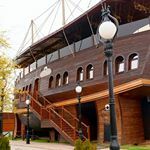 Or if you are looking for something more fancy but a bit more pricey you should try Hermania Restaurant , the food is excellent and location is just perfect. And let’s not forget the super expensive place that serves Romanian food and with a lot of items on the menu then Dobrun is the location for you. The first thing you will be thinking to try in Romania is the local strong drinks, although i advice you against it you will still try it. As most of the authentic drinks can only be found in villages where is homemade, we suggest you take a trip to one of the villages and ask to buy and do not buy it from shops it’s not even close to the same thing. 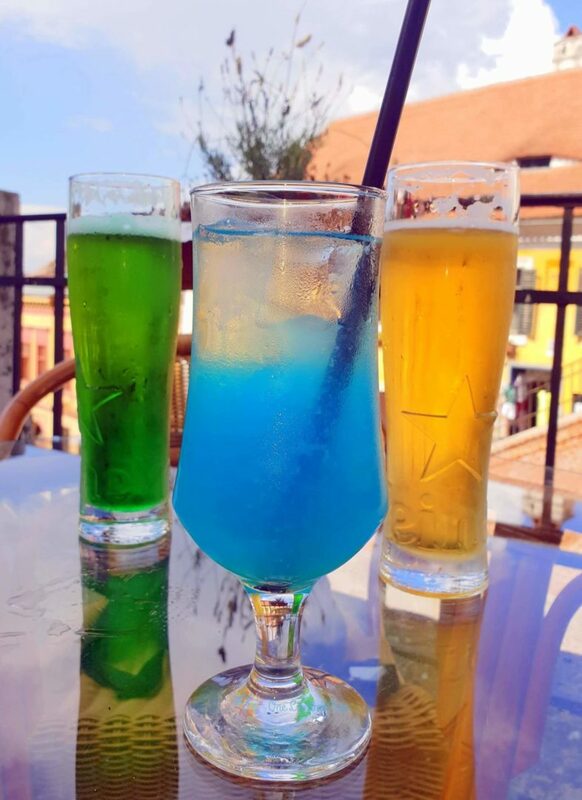 If you are looking for an interesting drink in Sibiu, then we recommend heading to Atrium, it’s right near the Liars Bridge, but you can order some amazing drinks like Mexican Beer (Heineken + Tabaco + Tequila) or Mint Beer (Heineken + Mint Siroup) but also the amazing Blue Lemonade. If you are planning to get a taxi most of taxi drivers barely speak English but it’s not difficult understand each other. 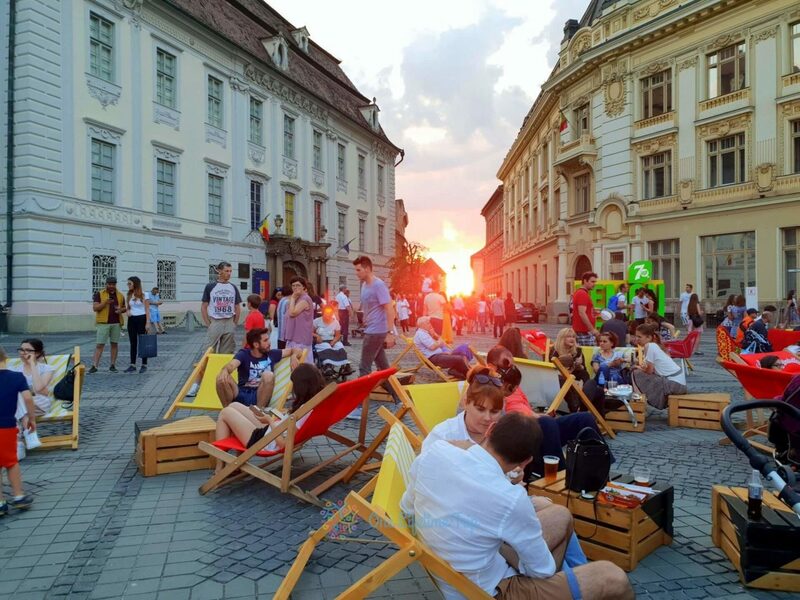 SUMMER CLASSICS – MUSIC DAYS – Between 22 – 28 June so for one week, in the main square and other selected venues you can attend all kind of music events from international guests and Romanian singers. 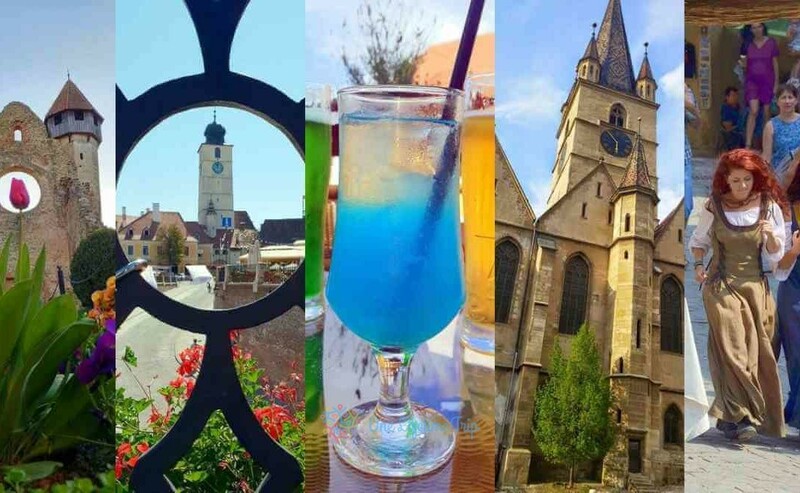 SIBIU FASHION WEEK – Between 17 – 22 July also known as Feeric Fashion Days is the most important fashion festival in the country and the only one held for six days in a row. 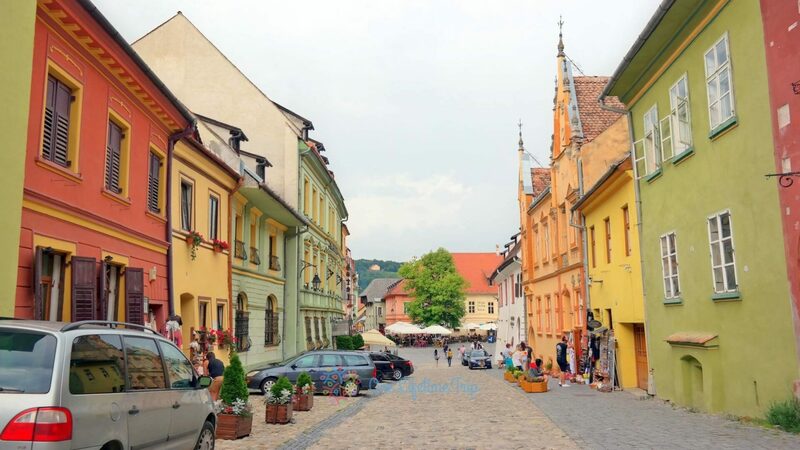 SIBIU CYCLING TOUR – Happening between 4 – 8 July it usually manages to gather 22 teams from Europe and Asia to take part in the most difficult road cycling race in South–Eastern Europe. 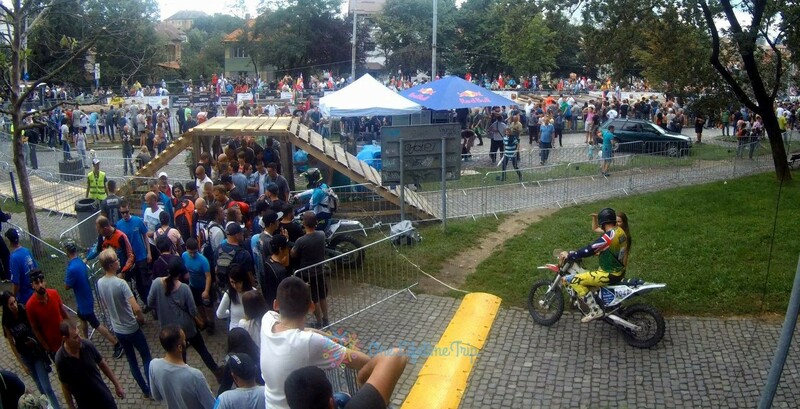 RED BULL ROMANIACS – between 24 – 28 July an international Enduro rally so if you are into motorcycles and raw power then this event it’s for you. 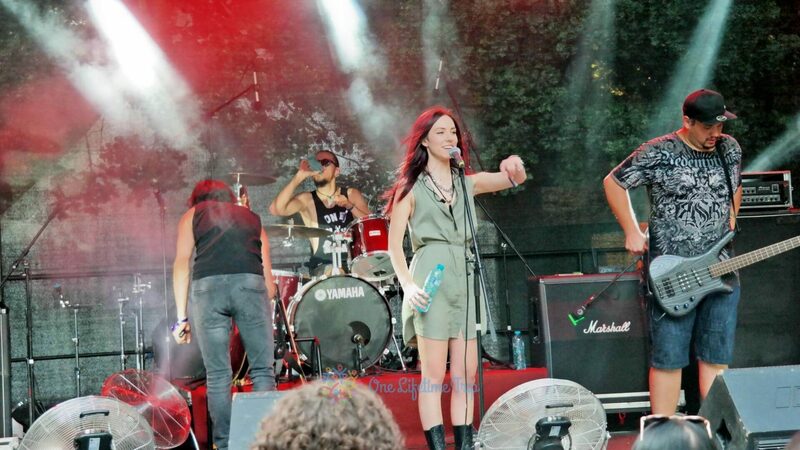 ARTMANIA FESTIVAL – 27 – 28 July it’s all about Rock music, loud speakers and party going on all over the rock pubs and clubs in the city and big guests like Nightwish , Within Temptation, Tarja,My Dying Bride, Laguna Coil and many other big names but also Romanian rock bands. 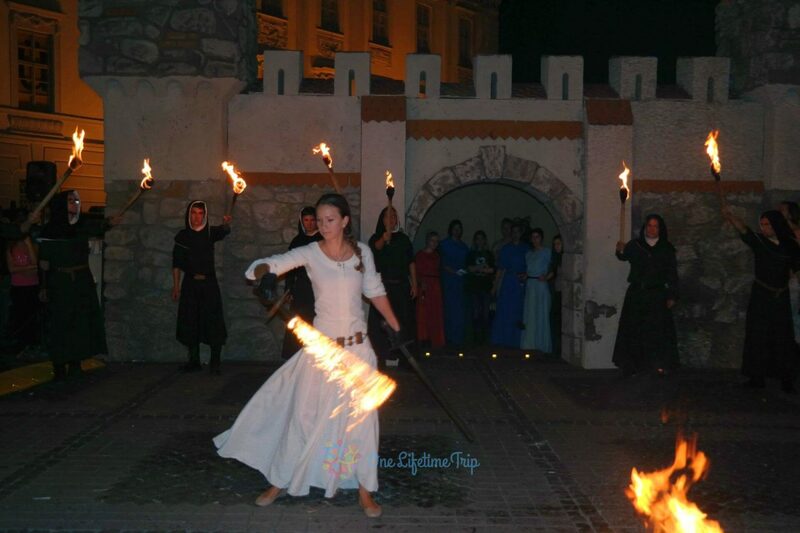 “THE SONGS OF THE MOUNTAINS” FESTIVAL – 7-9 august, if you looking to see a parade of Romanian costumes and songs from all arround Sibiu but also nearby places, then this is the place to come. MEDIEVAL FESTIVAL – 24 – 26 August, if you like sword fights, flamethrowers, maiden and many other things like knights tournaments, music concerts, circus shows, all having as a theme the medieval art, then come and enjoy. 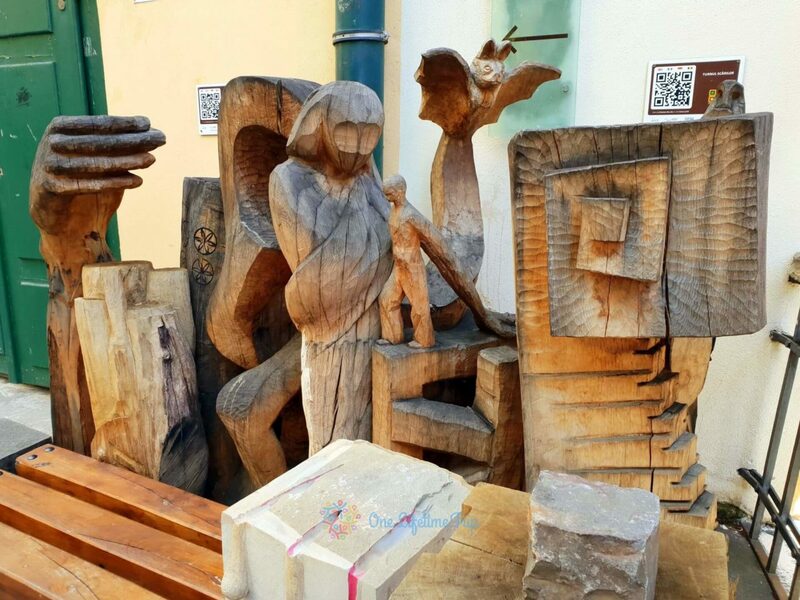 THE POTTERS’ FAIR – 01 – 02 September, Master potters from all over the country and representatives of the most renowned pottery centers in Romania are present within this fair. SIBIU OPERA FESTIVAL – 09 – 28 September, if you like opera then Filarmonica de Stat Sibiu, will gladly open their arms to invite you here. SIBIU OPEN – Tennis event hold at the Tenis Club Pamira in September. ASTRA FILM FESTIVAL – It’s the biggest film festival between 15 – 21 October where you can watch movies in open air for all genders. SIBIU JAZZ FESTIVAL – 21-24 May, Numerous Jazz concerts, jam sessions and workshops will take place during the seven days of the festival. 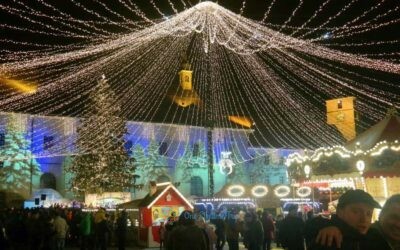 THE CHRISTMAS FAIR – November 20-December 26, no doubt the longest running and the most famous event. During the winter days this is the places where to find fairy tale houses that attracts tourist with homemade wine with cinnamon (a Romanian winter specific drink) alongside winter sweets and other goodies. 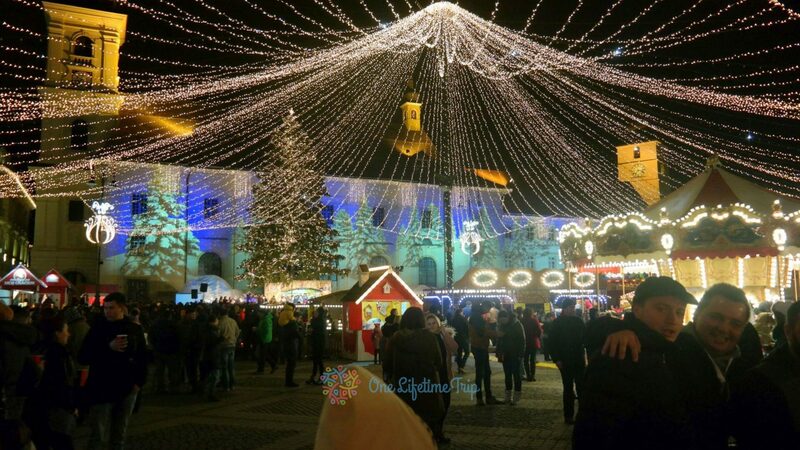 A lot of festive lights to make it the perfect Christmas Market location with Santa Claus Village and the place to be at New Years midnight if you are in Sibiu. 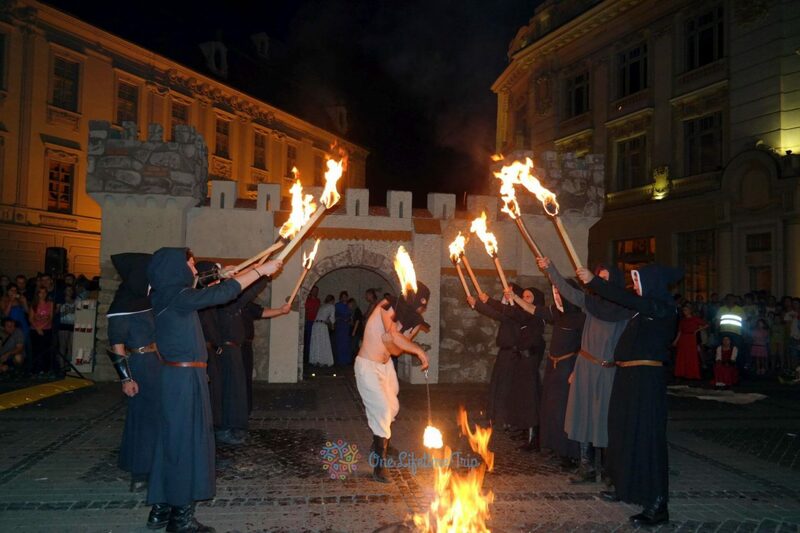 But the list does not end here, in fact there are so many other events that happens in Sibiu every week, while most of them are not set in stone and do not repeat annually at an exact date, you can look them up when next event will be. 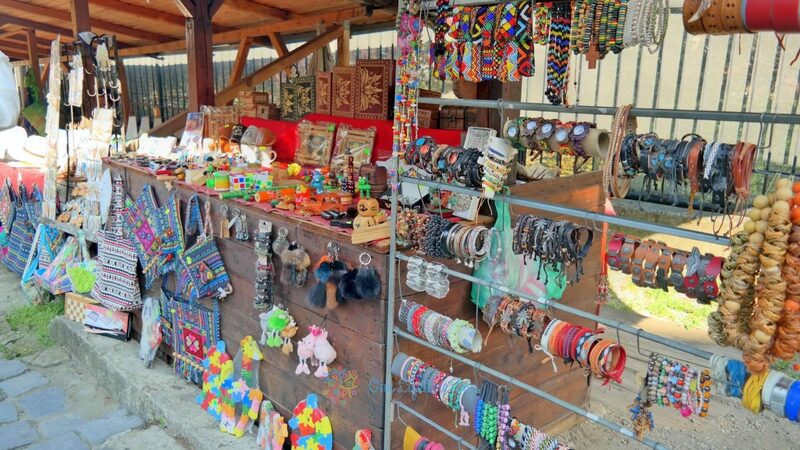 ROMA FESTIVAL – Roma or Gypsies have a set date on 8’th of April but we’ve seen this festival being held 3 to 5 times a year in Sibiu’s Main Square where you can enjoy custom Gypsies music and buy handmade items from hundreds of vendors. 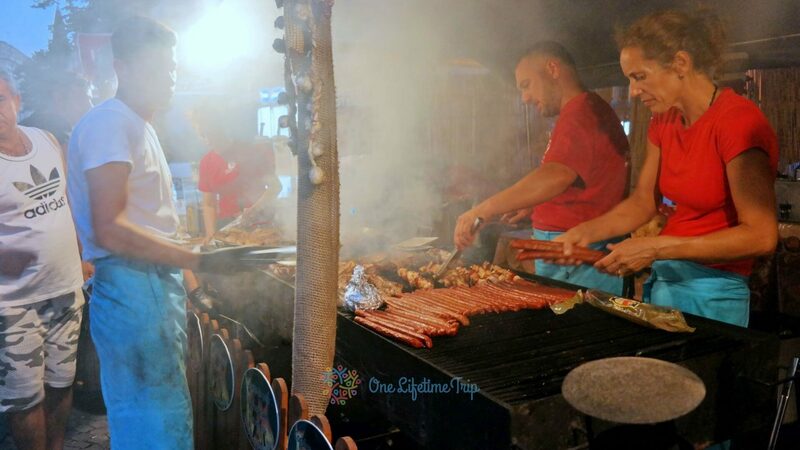 ROMA FOOD FESTIVAL – Roma or Gypsies have a set date on 6’th of September but we’ve seen this festival being held 3 to 5 times a year in Sibiu’s Main Square where you can enjoy custom Gypsies music and eat a lot of interesting food. 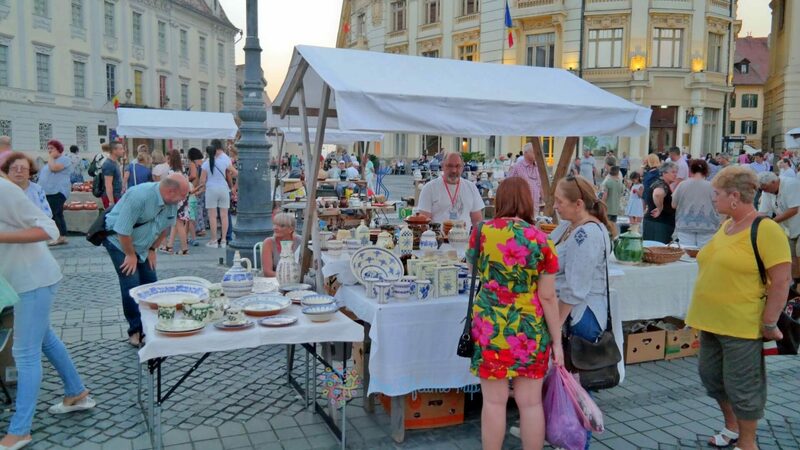 HANDMADE FESTIVALS – While this is held a few times a year the most important one is held between 7 – 9 Decembrie, in small square under the name Artsy Handmade Fair. Since there are so many other festivals i’ll try to make it faster so here we go : Beer Festival (3- 8 August), Apsara Festival (8-12 August), Holszstock Festival(17-19 August), FullMoon Festival(9-12 August), and the list can go on but i’ll let you discover them all when you arrive. Now we are getting to our top. Sibiu it’s a small city so there won’t be any long lines to enter the places you want to visit so In other words, let’s start! 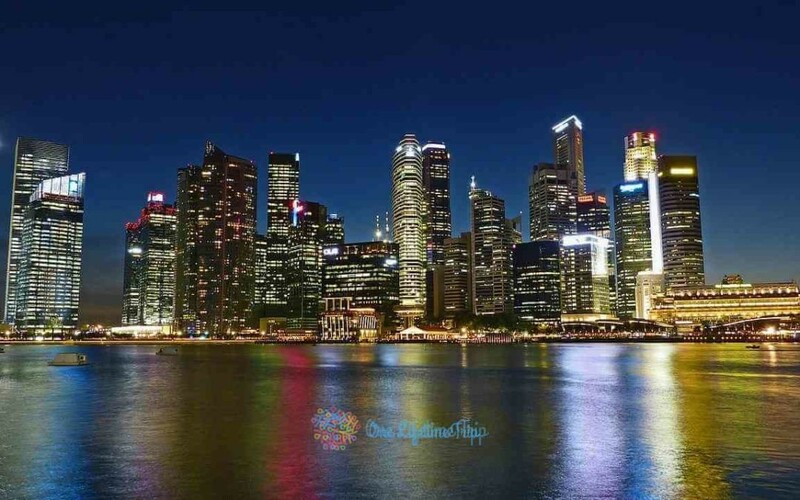 This is the most important place of the city, where all major events happens and where a lot of good restaurants are, also it’s usually the meeting point for every tourists to meet for the first time. The road to Main Square it’s also filled during hot days with full of terraces with all kind of food and drinks, but take notice all of them must close by 23:00, so prepare your time ahead. 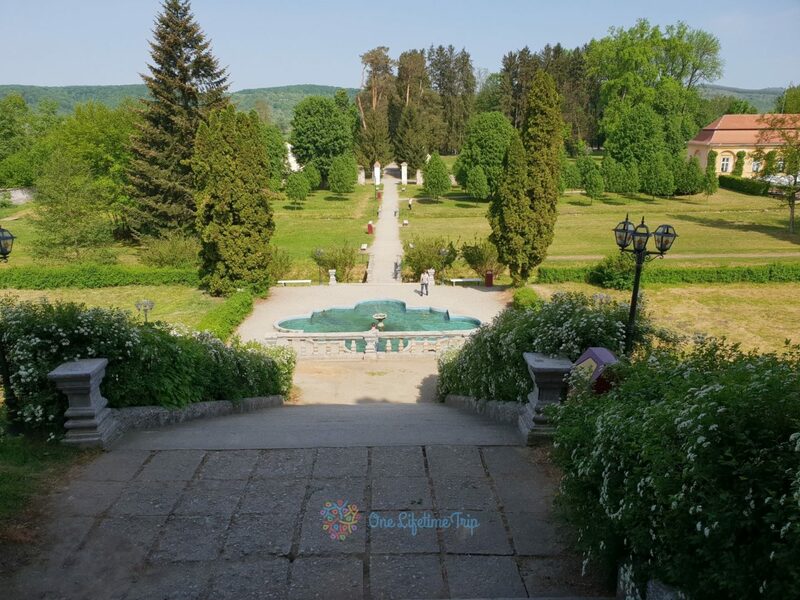 While you are here you can visit Turnul Sfatului build between 1221 and 1241, where you can go up for a fee of 2 lei / 0.5 cents to get a view over main square from above, also you can visit Romano-Catholic Church “Sfânta Treime” built in 1948 open between 9 – 19 everyday and last Național Brukenthal National Museum where you can enjoy old Romanian art but sometimes there is also a display of live Reptiles. One of the most unique style bridge in Sibiu, build in 1859 completely from metal, it became very well known due to it’s many legends, but since then the bridge has suffered few changes lately even the complete remove of all locks. While many legends are being told, there is only one that it’s the truth and that’s when young army lads went to war they sealed their love and marriage proposal with a lock on the bridge to ensure the brides that they will come back alive and well. But as we all know the war takes casualties therefore the name of Liars Bridge. The best times to visit is during the summer when the bridge is full of flowers or during the winter then city lights take over and makes it a fairy tail photo spot. 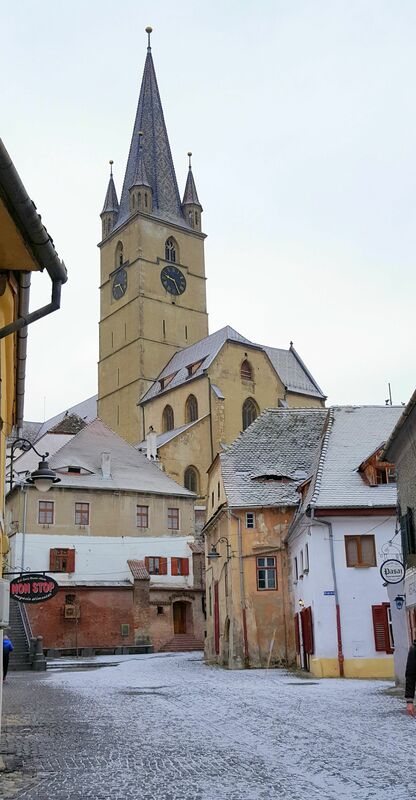 Build in 1520 in Gothic style, it’s one of the famous and biggest churches in Sibiu, standing tall at 75m, it’s almost impossible to take a picture with it. The church has a visiting fee of 2 lei but also a go up into the tower fee of 6 lei, but fair warning this is not for people with fear of height because to get up you have to walk some weird stairs with a view. The 4 Towers – Build around 1700 to help protect the city walls, although only 3 of them are still partially standing. 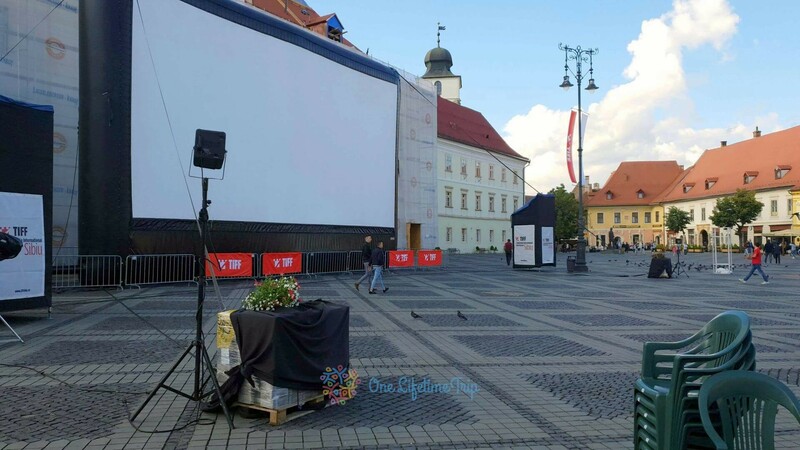 Sibiu Walk of Fame – Every year the walk of fame is updates with new artists that deserve it. Thalia Philharmonic – Every day takes place new concerts and art operas that you must not miss if you like. 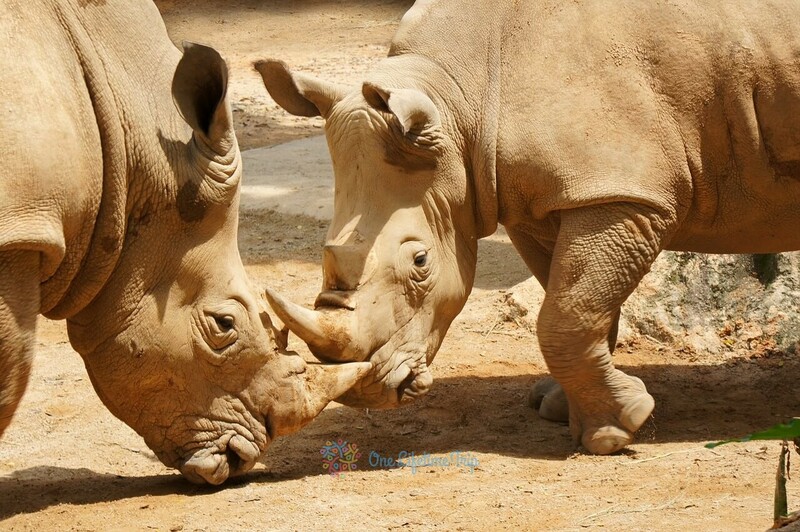 Museum of History – From real life size dinosaurs to unique types of rocks and ancient animals. 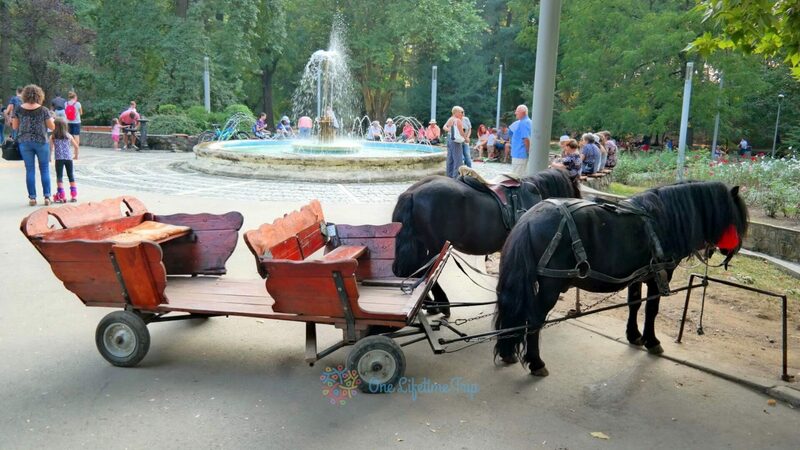 By far the biggest park in Sibiu, over 22 hectares, it’s the perfect retreat for a walk, or run, or cycle or just take a picnic near the small river, but you can also find some amazing places to visit like the Music Pavilion, Play Football or Tennis and if you arrive here during the winter you must bring your sleigh and go down the hills. During the summer there are plenty events that are hold here, from music to food festivals but even open air movie presentations each with their own unique flavour. 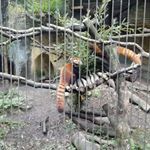 Sibiu zoo is one of the most well cleaned and maintained zoo I’ve seen in Europe and many other places, with a very small entrance free of only 4 lei / 1 euro a lot of locals come here just to take a stroll thought the forest zoo or take a stroll with the boat on the amazing lake. 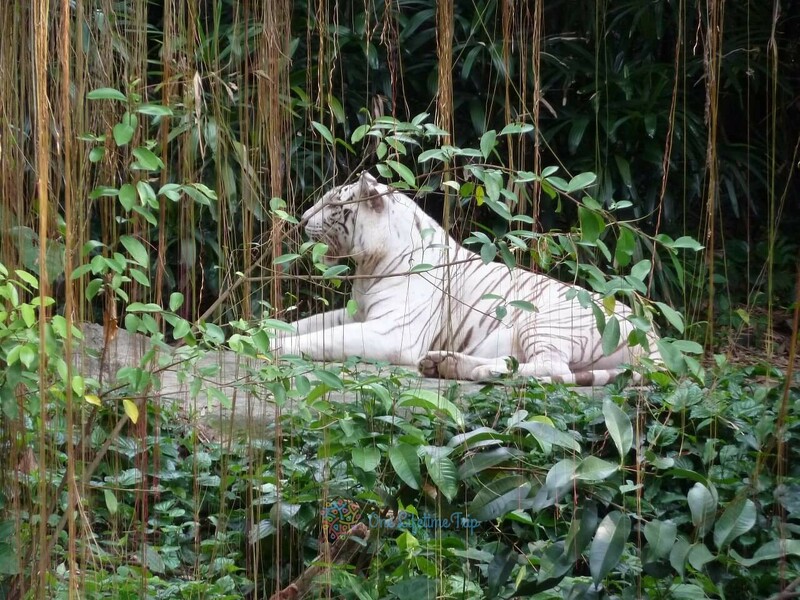 You can visit the reptiles pavilion, the birds or take a more wild run with the tigers or bears that are hiding here but also many other animals that kids will love so come and enjoy it, it’s well worth it especially during the summer. 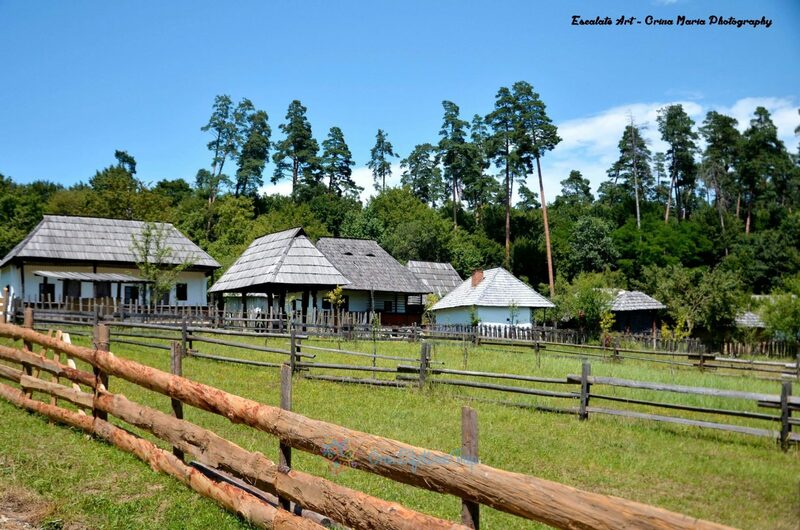 Do you like old style buildings, then here is the place to come to enjoy the entire history of Romania exactly like it was hundreds of years ago, from chariots to old style streets it’s a big maze that will take you to an entirely new world. 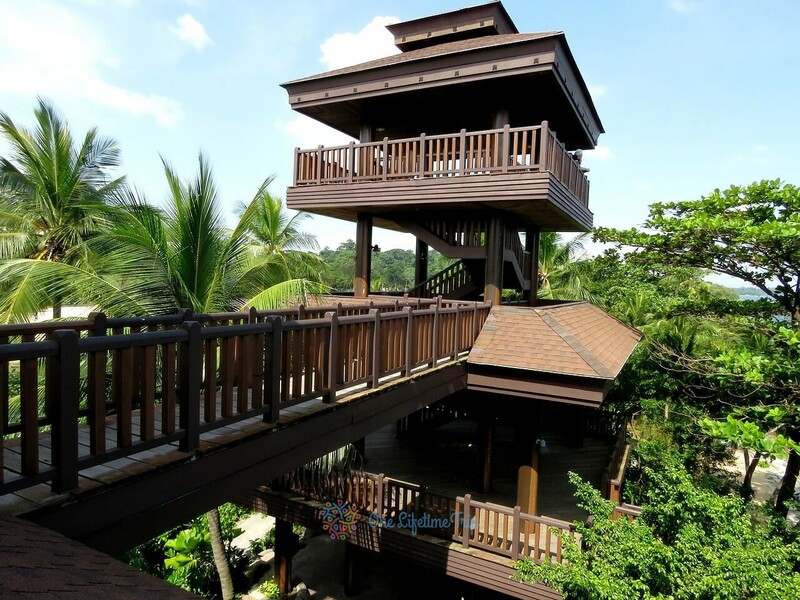 Hidden on the top of Gusterita Hill, it’s a sight you might not want to miss during the night, with a perfect view over the city and an amazing photo shot spot. To reach here you can take bus no 10 and then walk the rest of the way for about 20 minutes. It’s a glacial lake situated at 2000 meters altitude in Făgăraș Mountains. It’s a perfect place to escape in the summer heat. If you are a hiking lover or not you can spend quality time by yourself, with friend or family. The view is breathtaking and it’s perfect to spend a day in summer or winter. 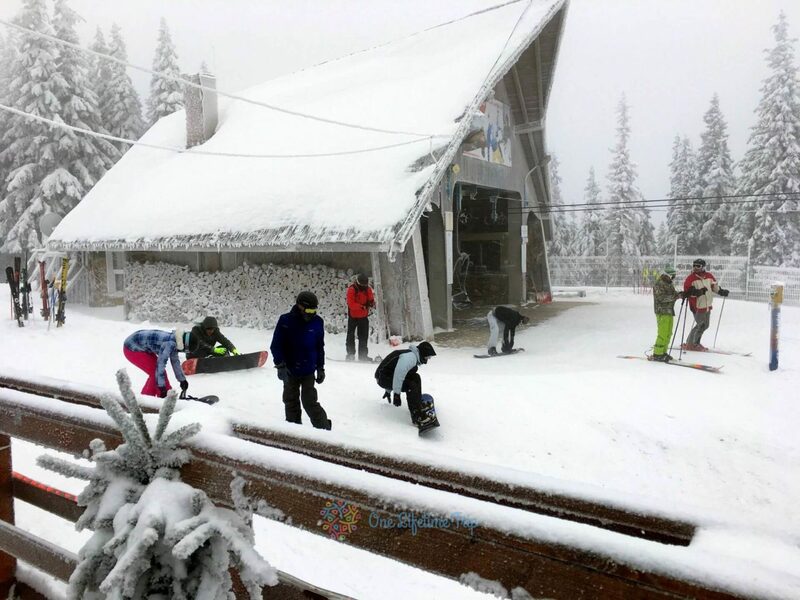 If you are a lover of winter sport you can come here for snowboarding, snowmobiling or tubbing. If you need to take a break you can visit the Hotel of Ice and have a hot drink or you can pray on Ice Church. 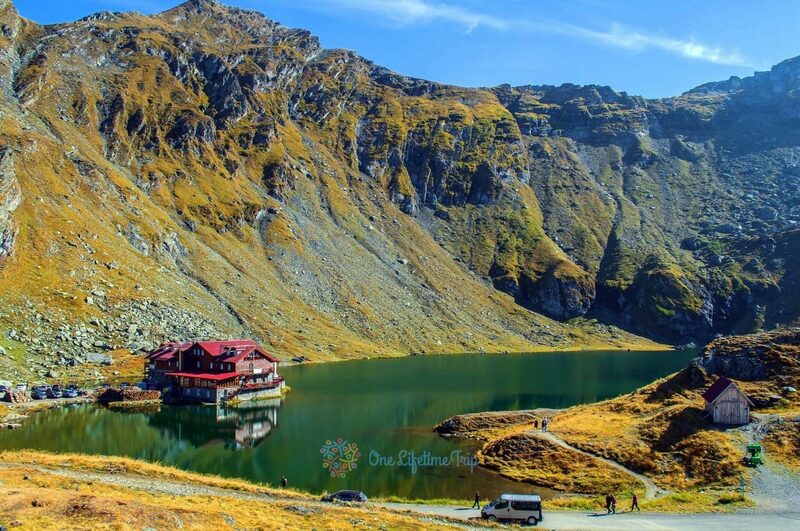 During summer Bâlea Lake it’s the perfect start for hiking routes to the highest peak in Romania, Negoiu and Moldoveanu Peaks, you have two choices to arrive here: cable car or Transfăgărășan which is open only in summer. 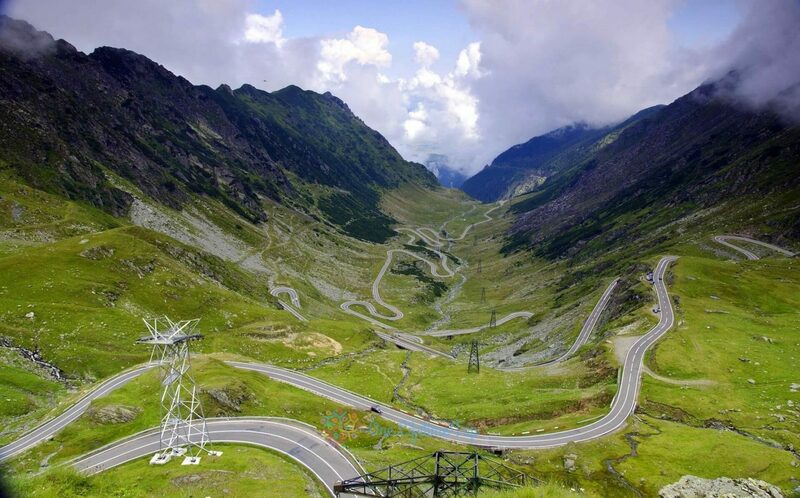 It’s one of the most famous roads in Romania named by Top Gear “the world’s best road”. It was built during Nicolae Ceaușescu’s communist regime. It’s considered one of the wonderful roads built with many difficulties and many human lives lost. Because of his altitude (around 2000 meters), this road it’s open only during summer and it’s dangerous to drive here outside the season. If you have motion sickness you must be prepared with some pills if you want to enjoy the marvellous landscapes, it’s the main road if you want to visit Bâlea Lake, Bâlea Waterfall, Vidraru Lake and Dam and more. Bâlea Waterfall is the largest waterfall in the stairs from Romania. It’s situated over 1200 meters altitude and has 60 meters fall. 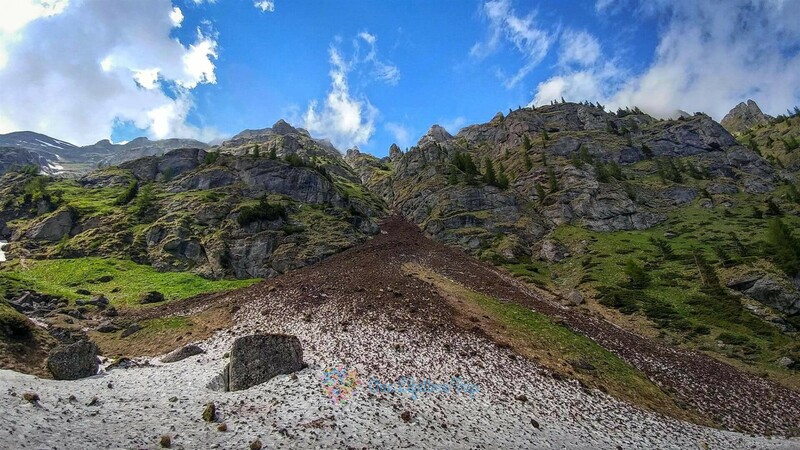 It’s something that you can’t miss if you are in your way to Bâlea Lake. 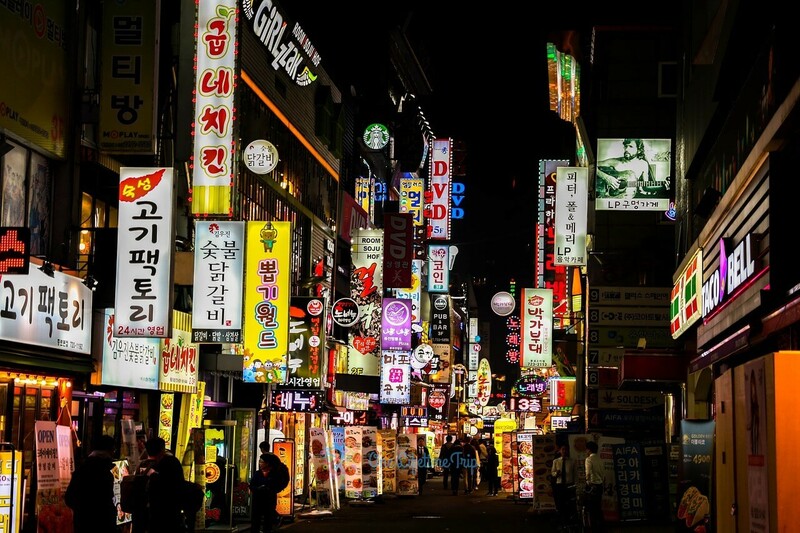 Here you find plenty of choices to book a room, eat some traditional food or buy souvenirs. These peaks are the highest peaks in Romania. 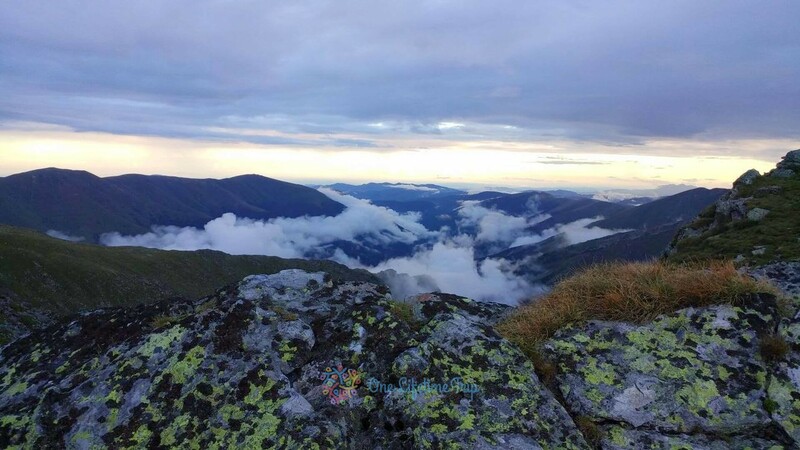 Moldoveanu Peaks has 2.544 meters high and Negoiu has 2.535 meters. 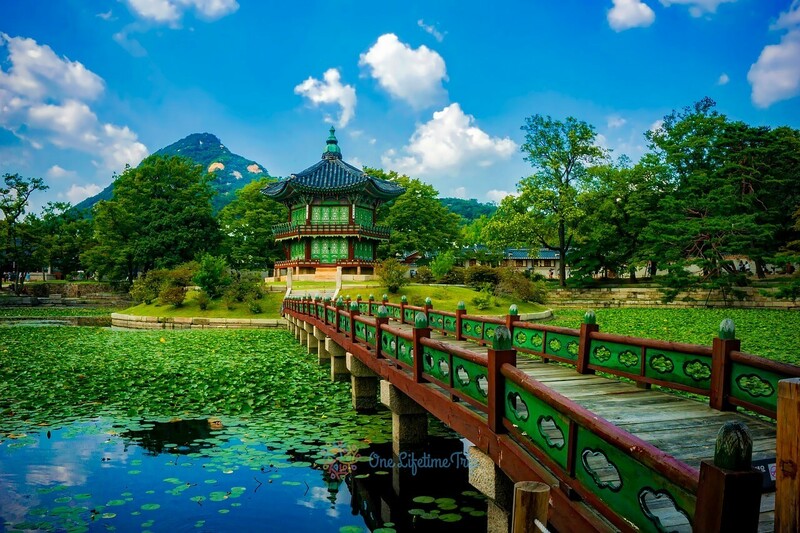 Perfect for hiking lovers, these hiking trails can be considered as difficulty medium/high because are long. Always you must be prepared for hiking properly and of course, we recommend to have a guide or someone who has experience in hiking. Păltiniș it’s a mountain resort situated 35 km south-west from Sibiu. It’s a perfect escape from the city and it is situated at 1440 meters altitude. 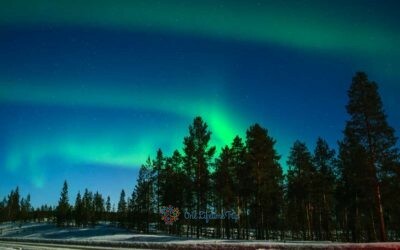 It’s suitable for families, couples, winter sports lovers or for hiking. Also if you are looking for a place of silence there is a hermitage, very beautiful, peaceful and quiet. It’s also famous because is the place where philosopher Constantin Noica spent here his last days. You can spend quality time every time, doesn’t matter the season. it’s perfect in winter or summer. Most tourists love to have a ride in chairlift which works most of the time. During summer, it’s perfect if you like hiking or climbing. we recommend Arka Park Adventure Park if you like outdoor climbing. During summer if you want a daybreak, this is the perfect place. 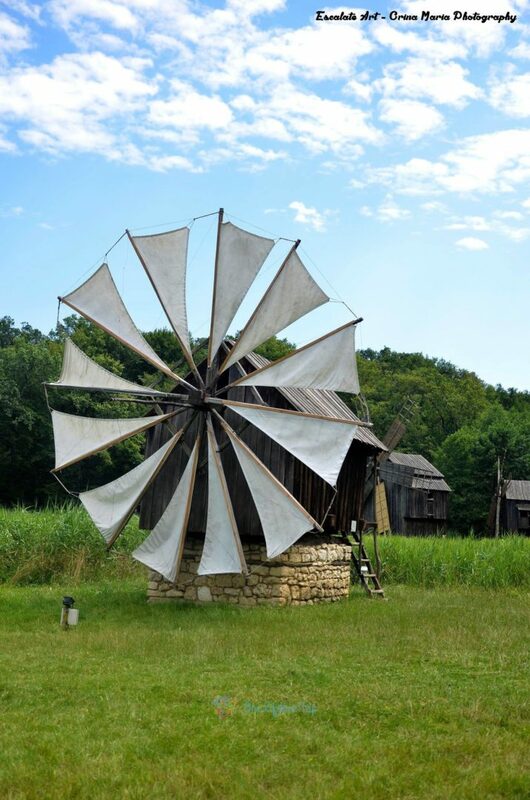 It’s situated 15 km from Sibiu. 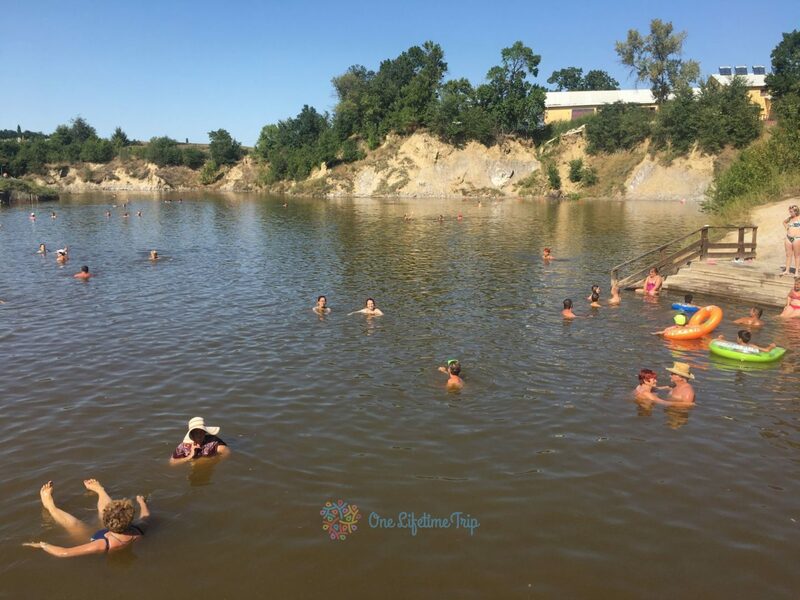 You can swim in salt lakes, you can stay on the beach or you can take a mud bath, good for skin, rheumatics or bones conditions. Also, you can find here places where you can treat some medical conditions. Here you can find 12 lakes, salt pool for kids, freshwater pool, cold and warm showers, places to eat and drink. All lakes have different salinity. Bottomless Lake is the most famous lake and it’s declared a monument of nature because of the phenomenon of heliothermia. 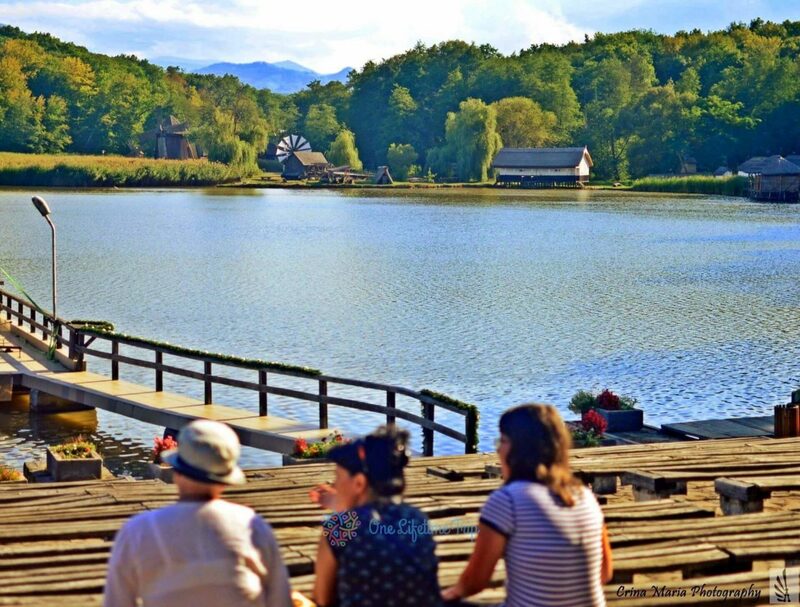 Ocniţa Lake is the largest lake, the most prefer to swim. Brâncoveanu Lake is the saltiest lake from this place. The Mud Lake has a thick layer of mud good to treat some bones conditions. Black Lake it’s similar to Mud Lake. If you want something unusual to visit this castle is a choice. It’s made entirely of clay and wood and looks like a castle from fairy tales. It was designed as a hotel but it not yet finished. 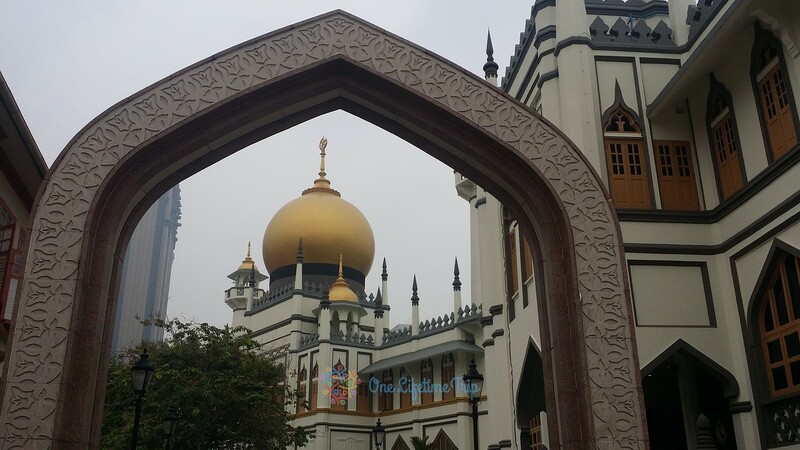 But you can visit it for a 5 lei as entrance fee. You can spend a good time here, eat something or drink and take some nice pictures. Spring or summer it’s perfect time to visit. This assembly used to be the former summer residence of the Transylvanian governor Samuel von Brukenthal. 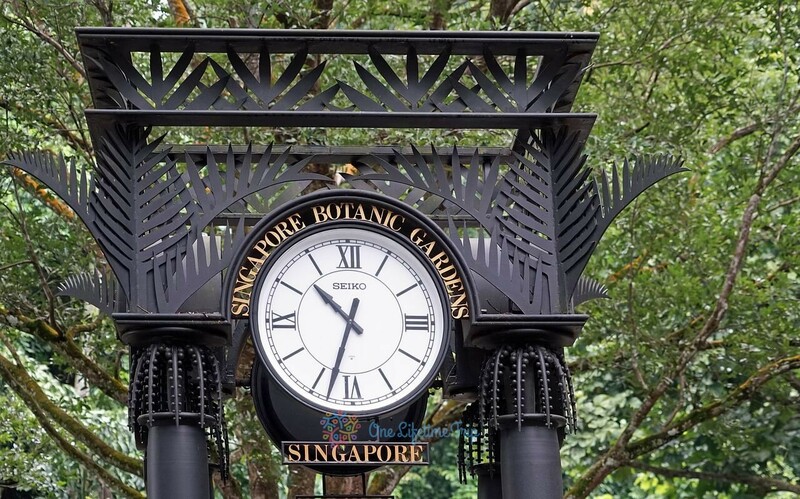 It was built in baroque style inspired by Vienna and has a huge and beautiful garden. During spring the gardens just revive, full of flowers and colour. It’s famous for the Tulip Trees, brought by the Baron of North America. Also, you can take a nice picture of a romantic fountain, you can eat your lunch surrounded by flowers and beauty. The entrance is free and you pay only for the exhibitions. 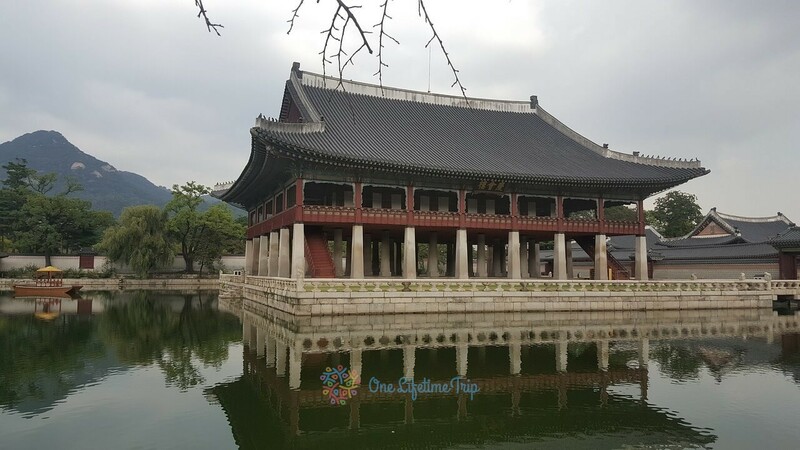 Today most of the time this palace is used for public events or weeding and you also can book here rooms. 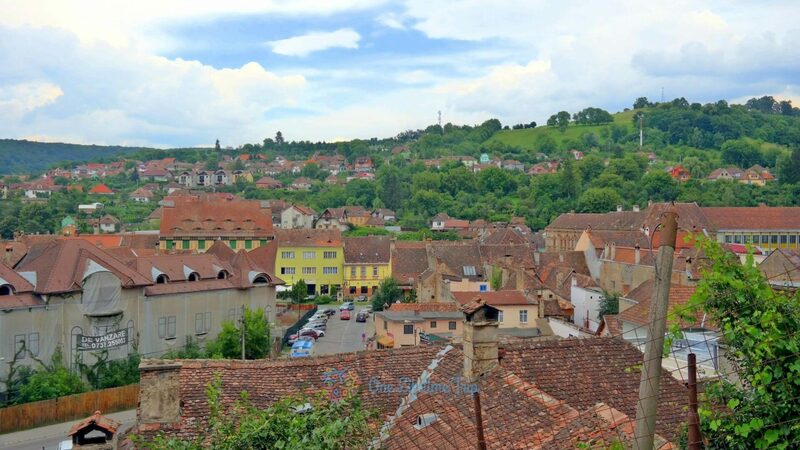 Situated outside of Sibiu county, and around 90 km from Sibiu city, Sighișoara’s citadel it was included in UNESCO World Heritage list because of the way his architectures it’s conserved. 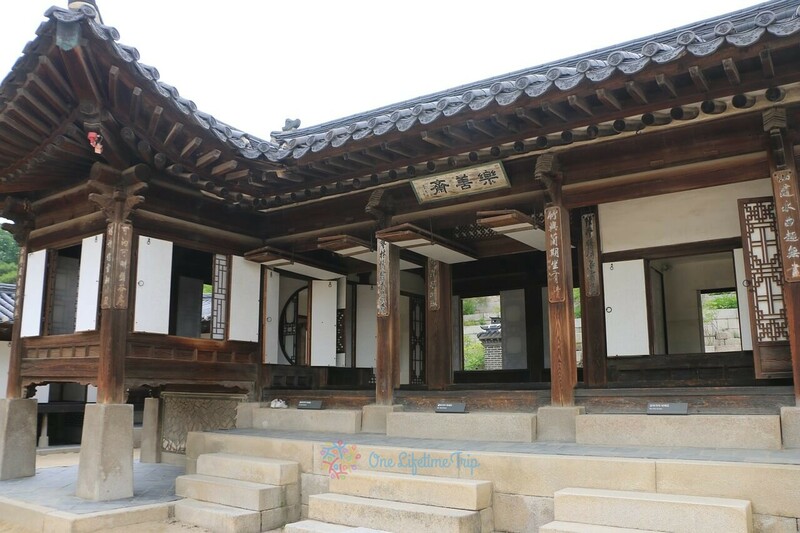 Most of the buildings are dated in Middle Age and it’s consider as a walking museum. It’s easy to reach here, you can arrive by train or by car. 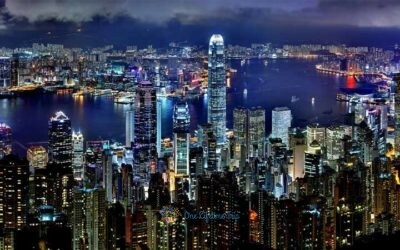 If you have the chance to visit this small but lovely city you have to see some famous touristic spots. One of them is The Clock Tower, the one that you can see it on post cards. Also you must not miss The Tailors Tower, The Scholars’ Stairs, The Stag House, The Venetian House, and more. Perfect time for visit it’s in July during the medieval festival.